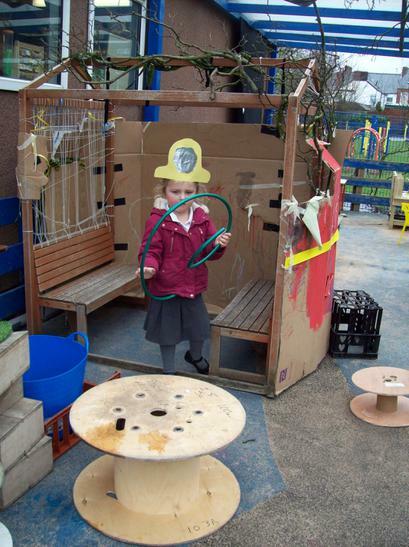 We made a feeder for the Bees. 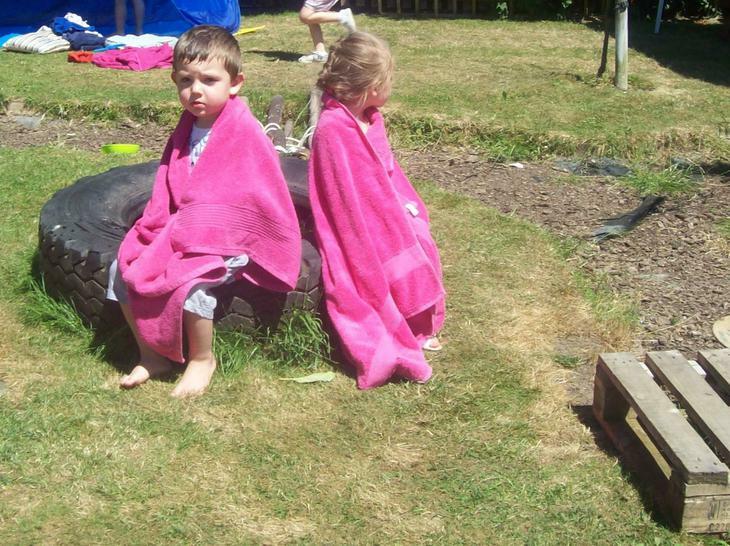 So that they can survive this hot weather. 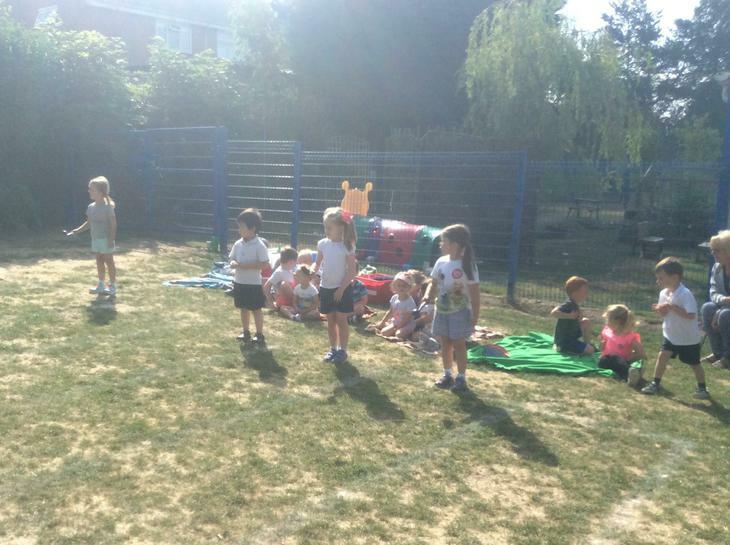 We planted seed potatoes in March and pulled up the potato plants in June. 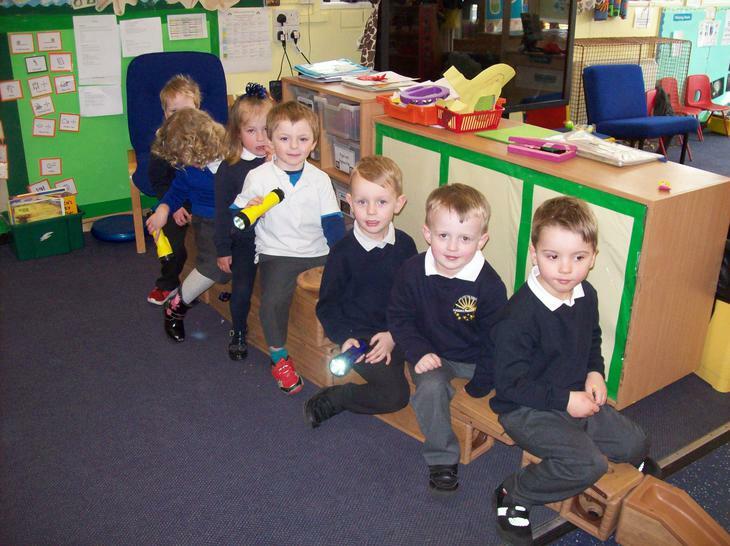 We lined up all the potatoes and then counted them. 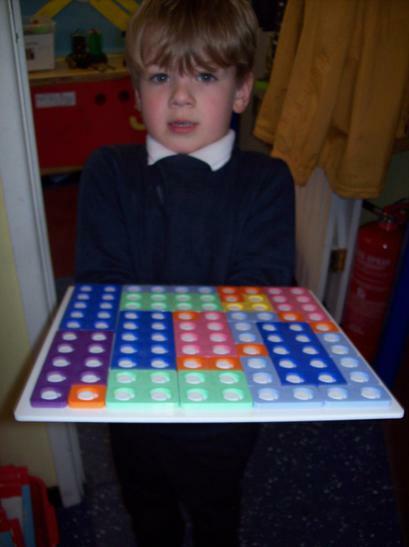 Total amount was 88. 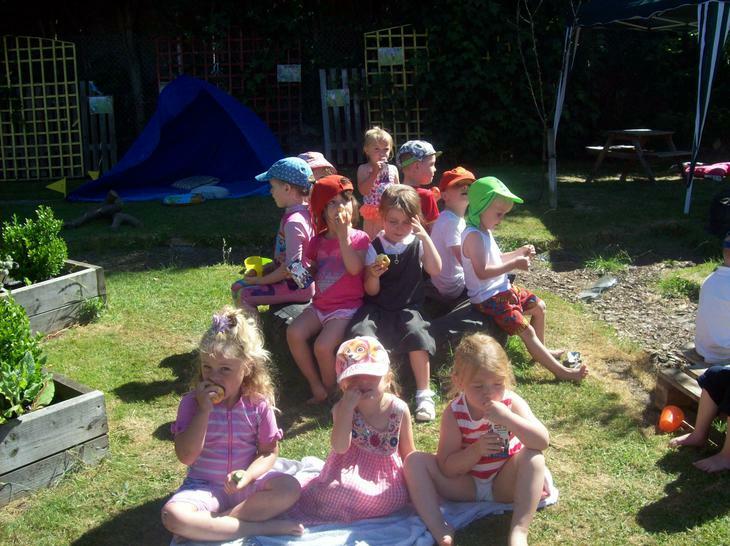 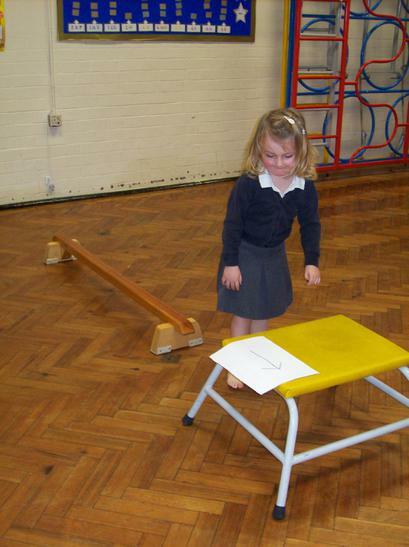 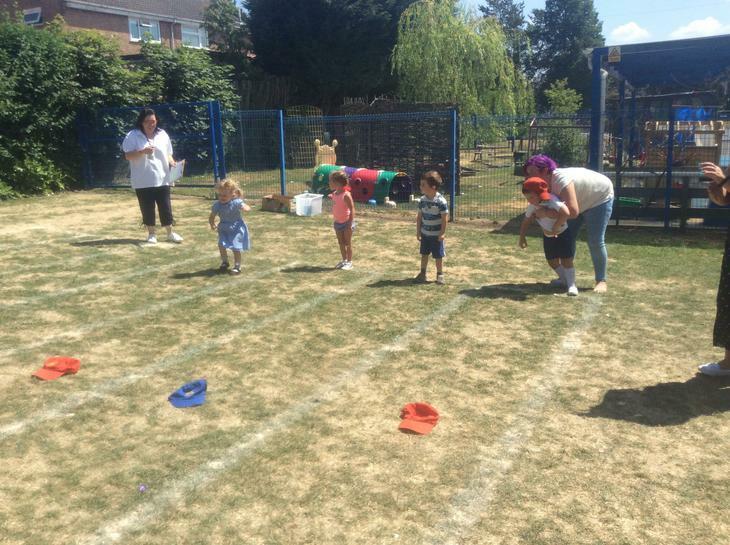 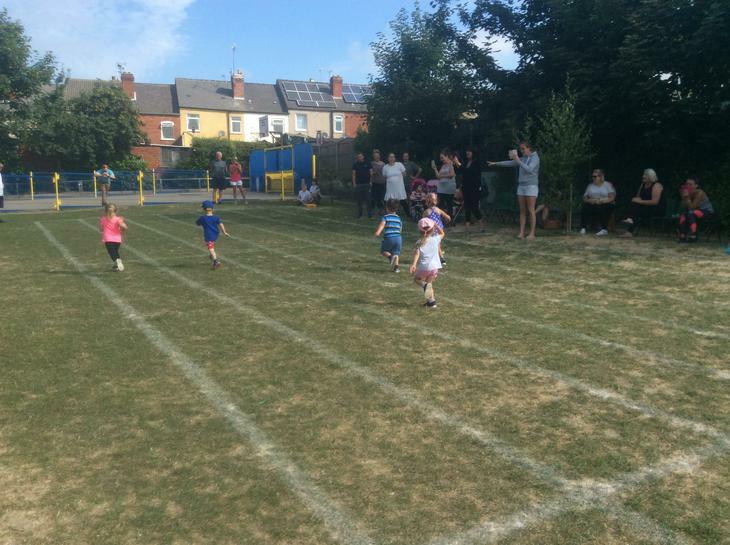 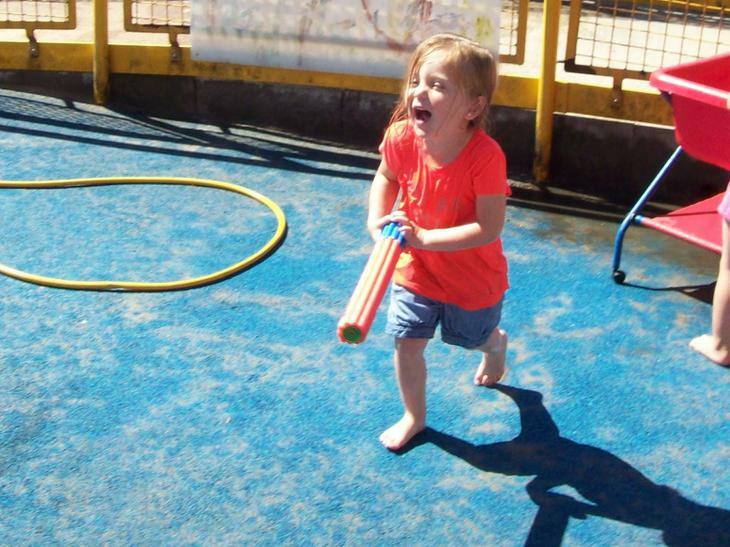 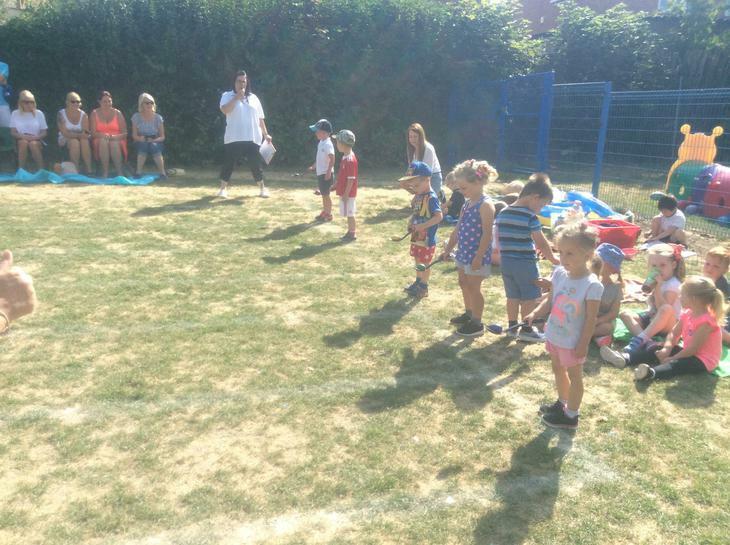 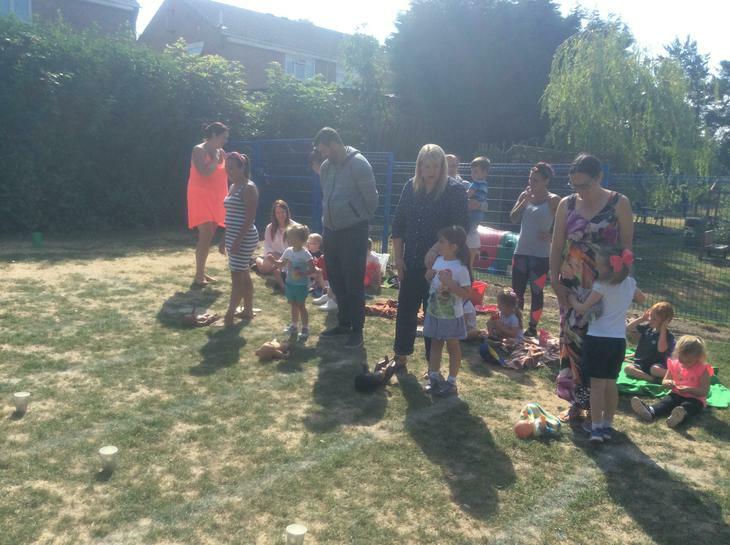 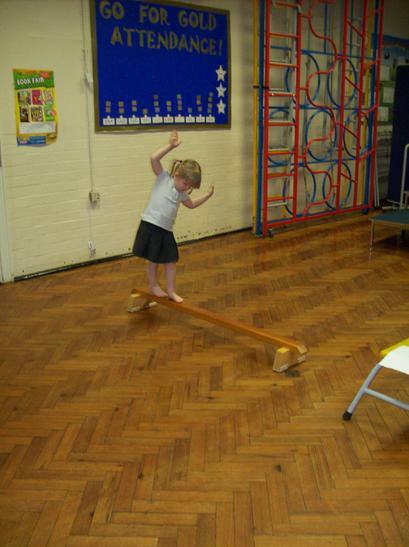 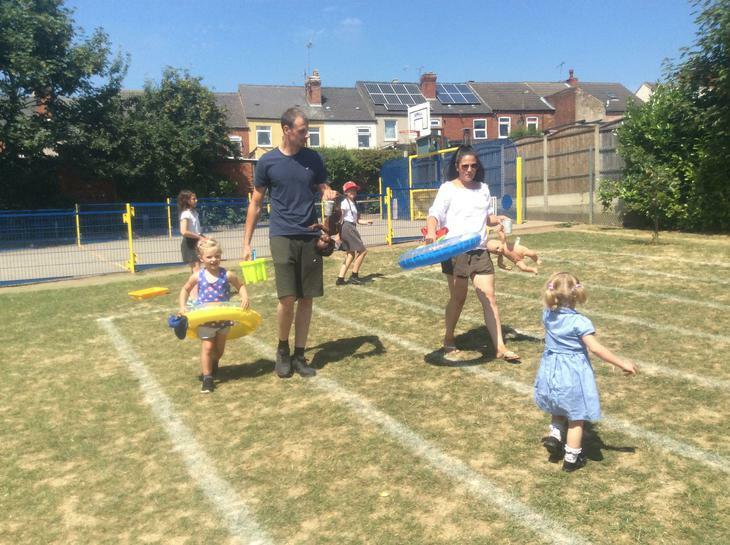 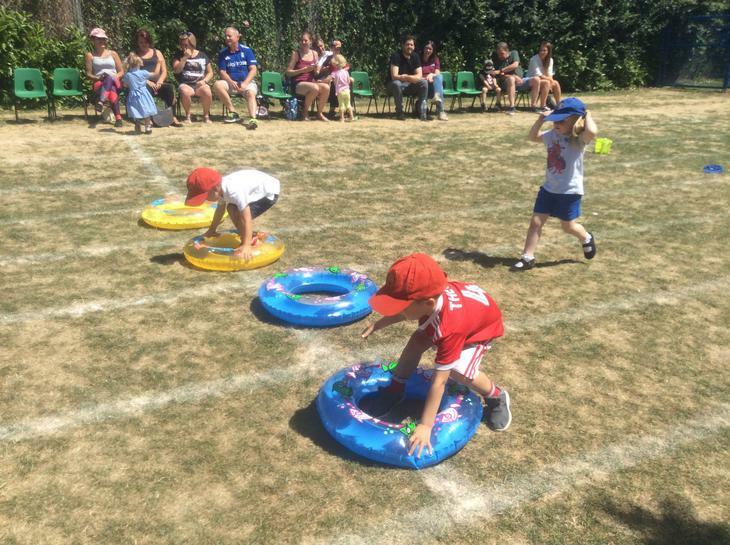 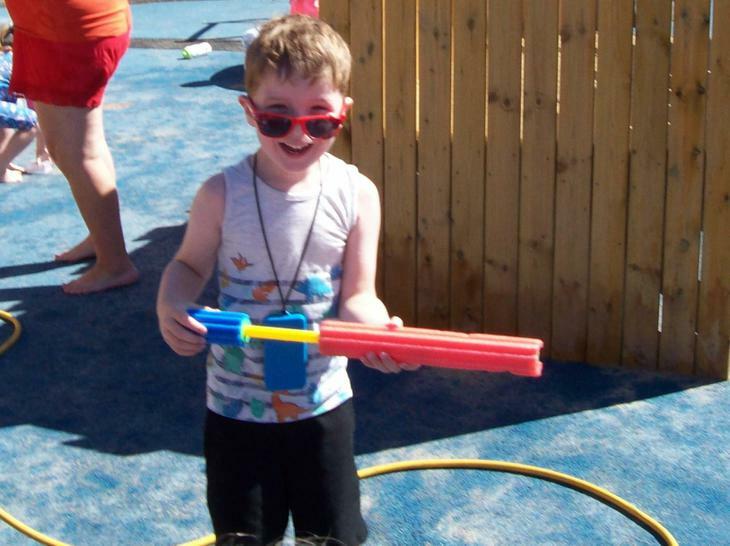 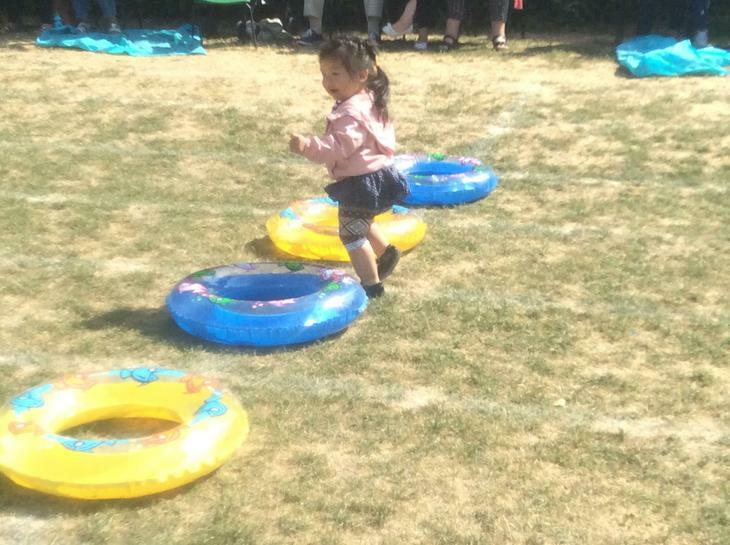 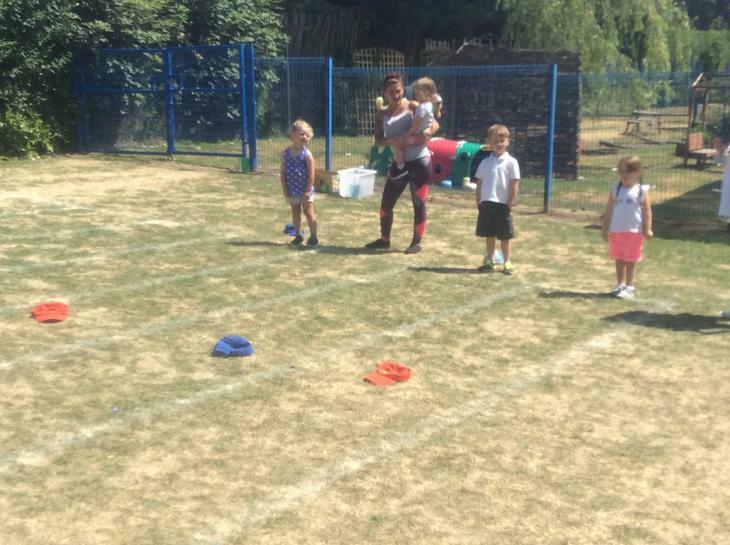 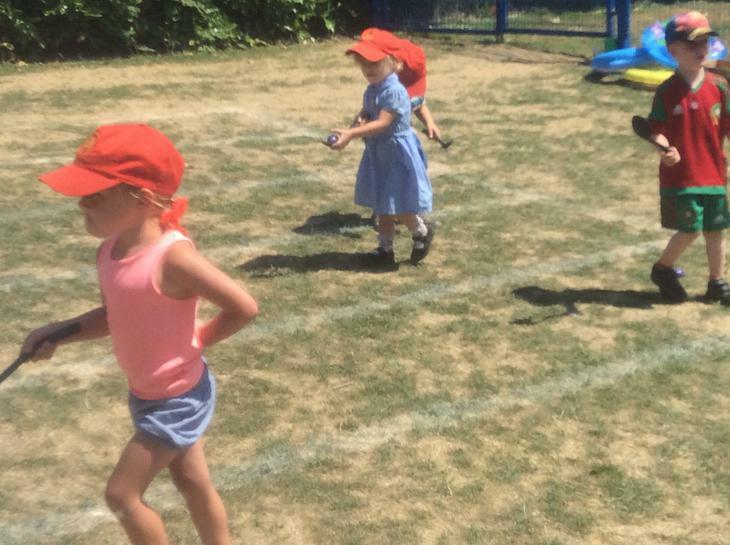 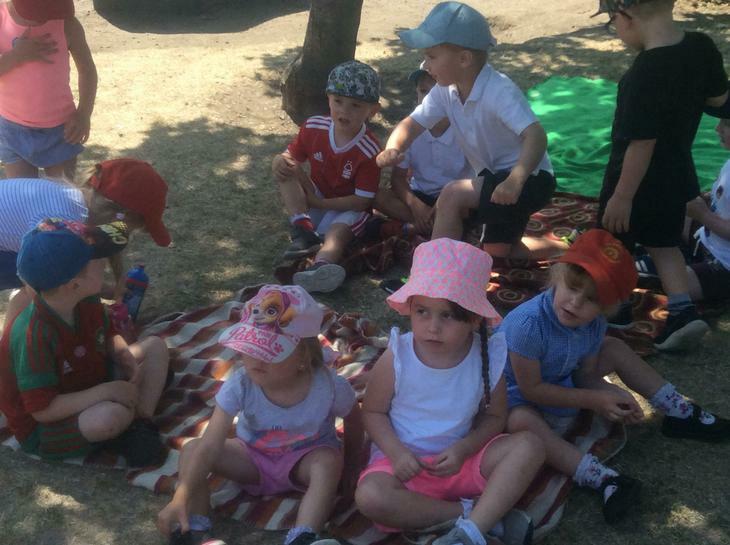 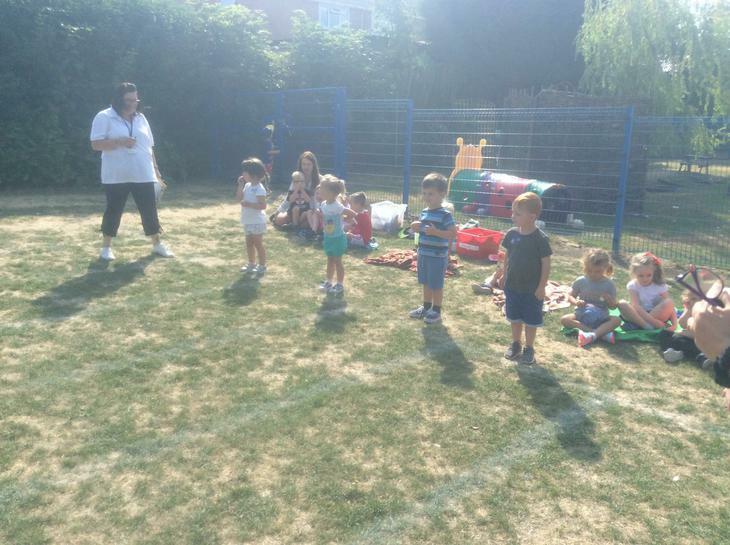 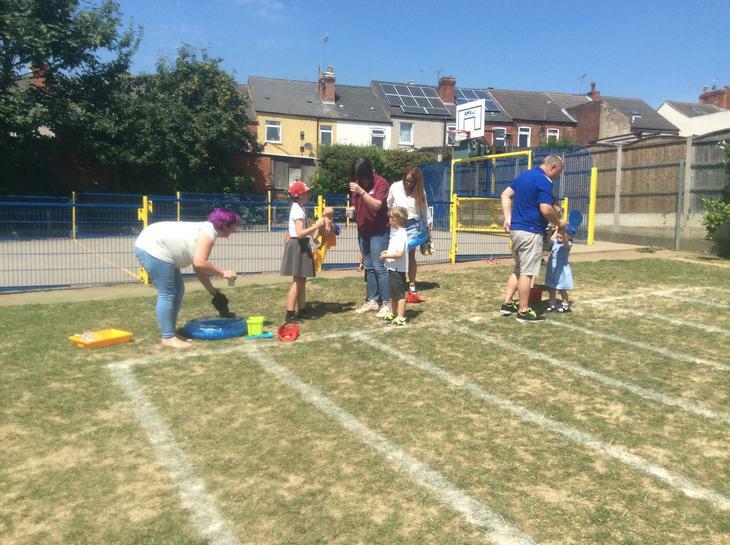 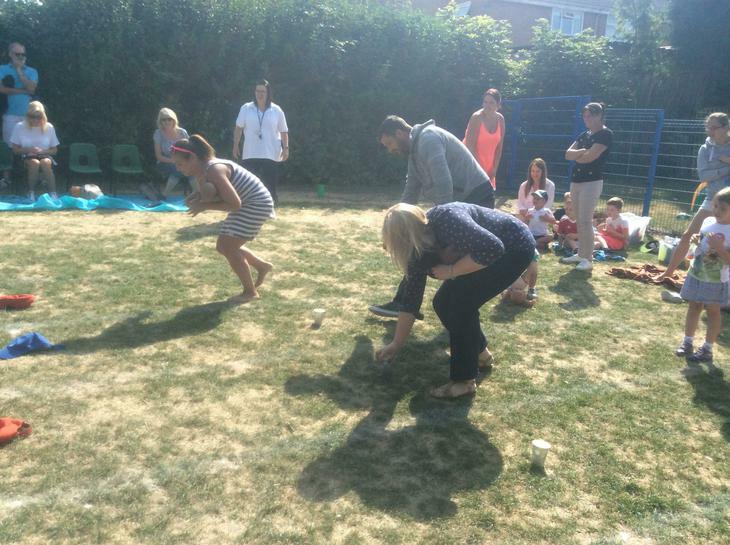 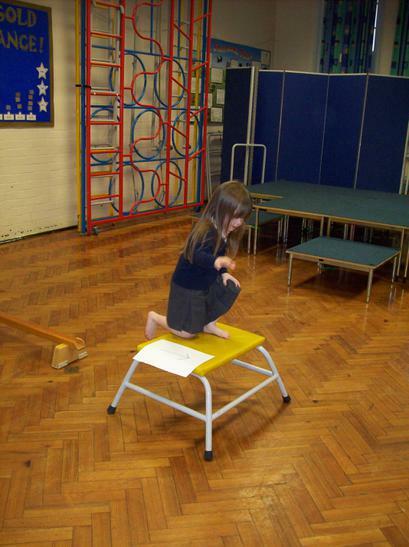 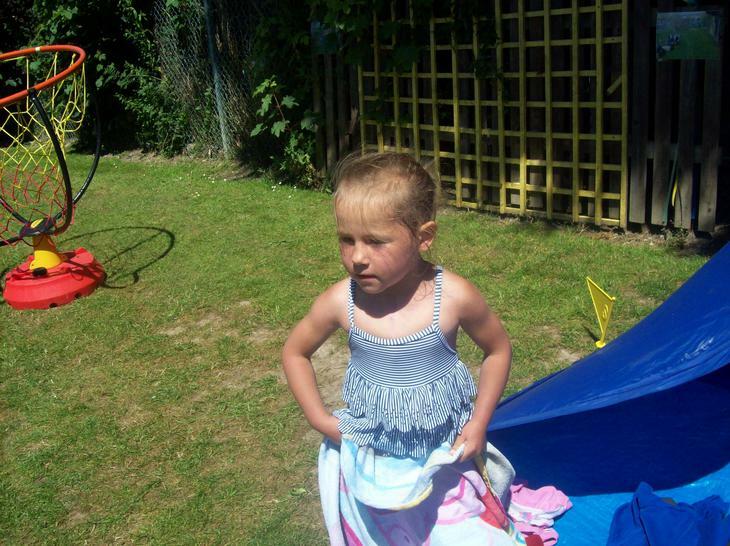 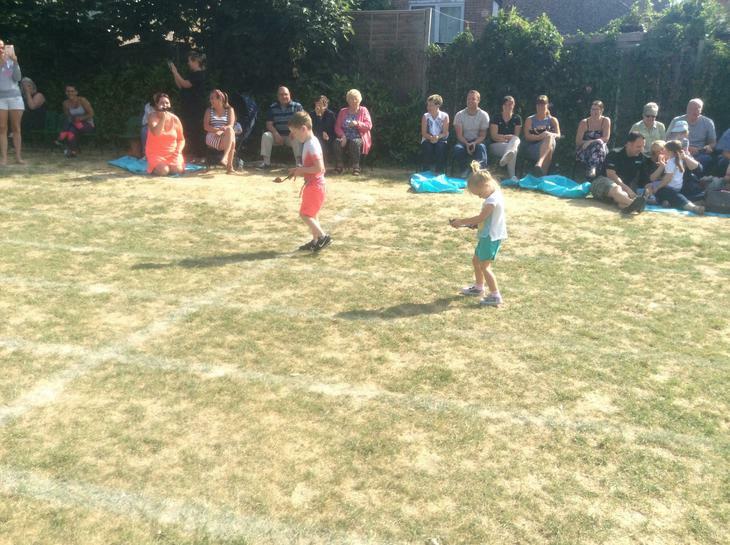 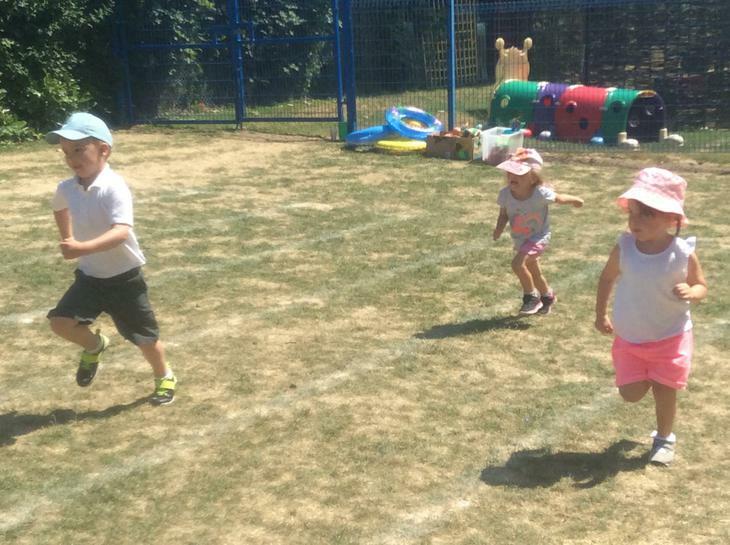 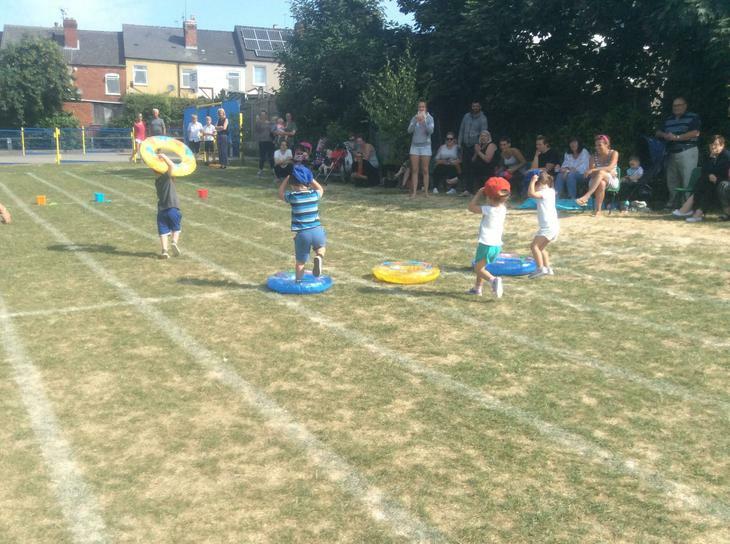 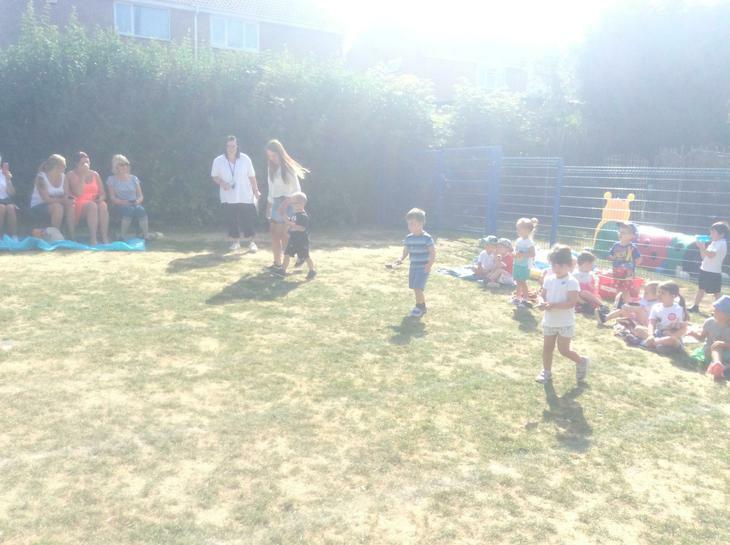 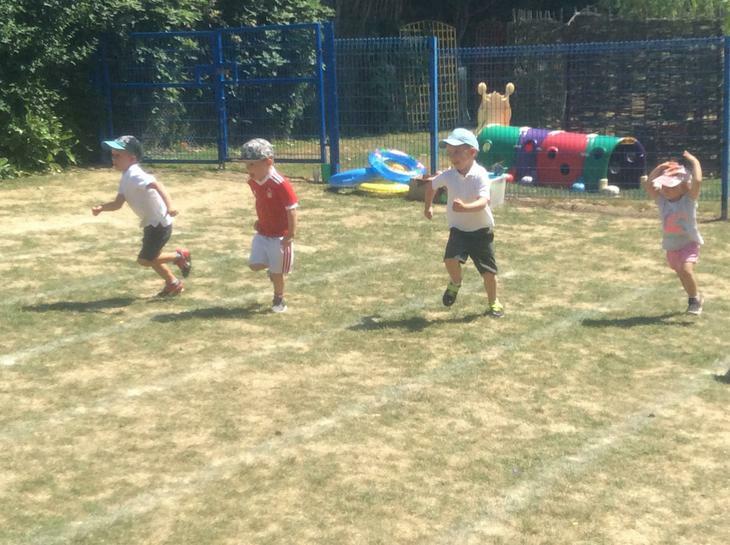 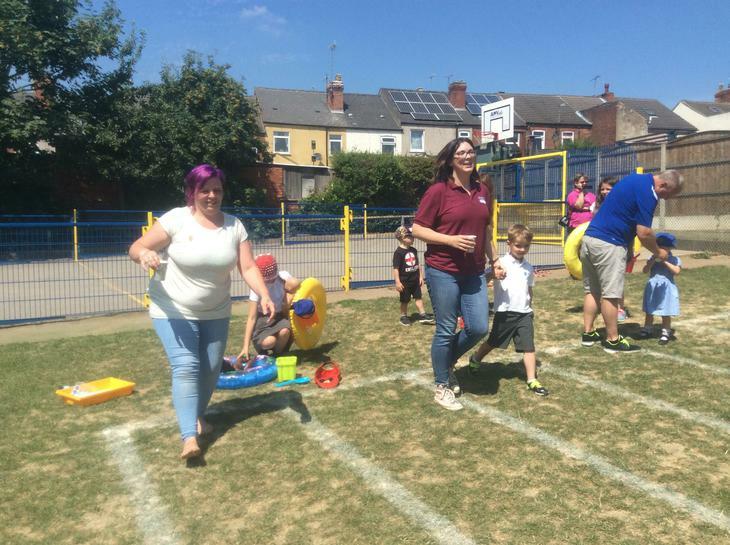 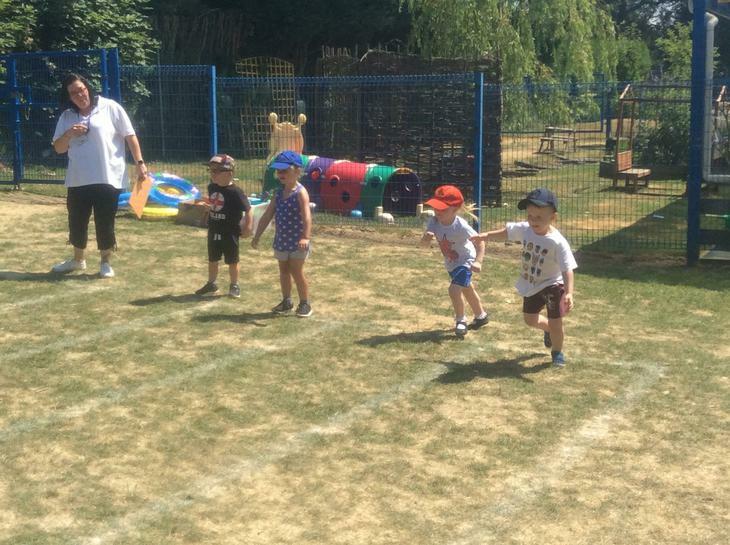 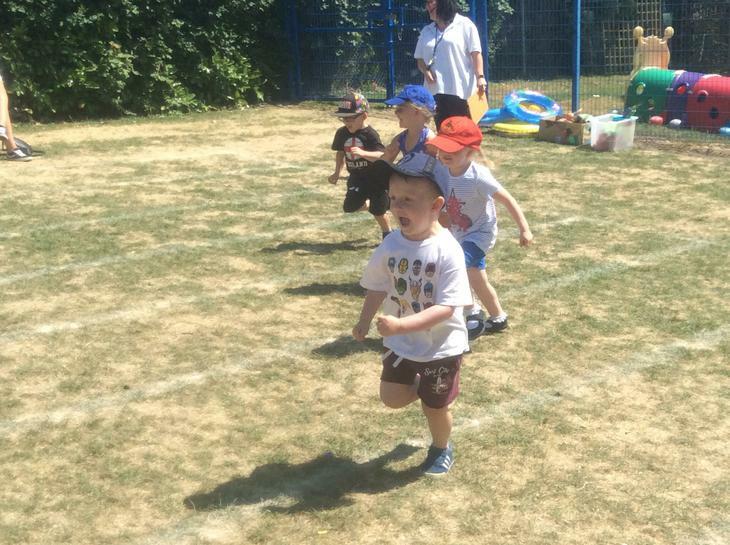 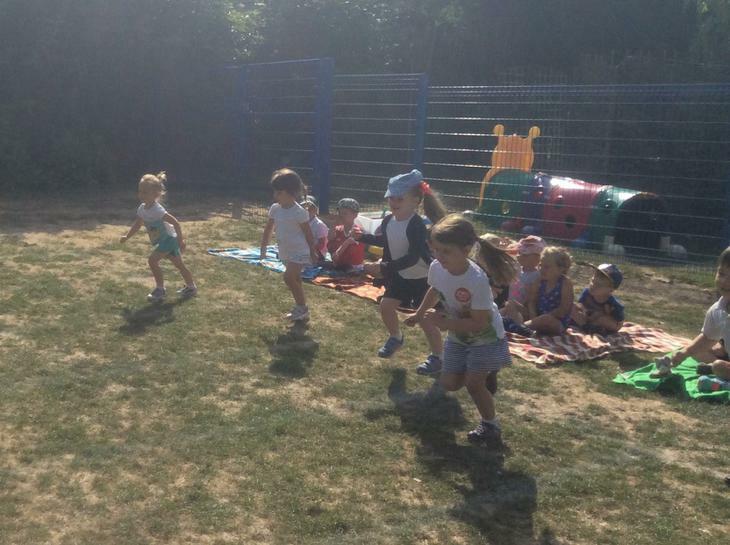 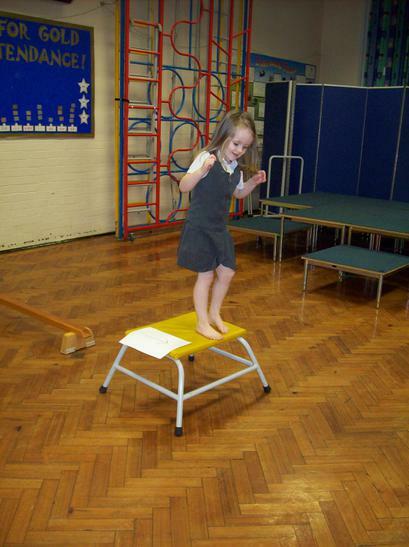 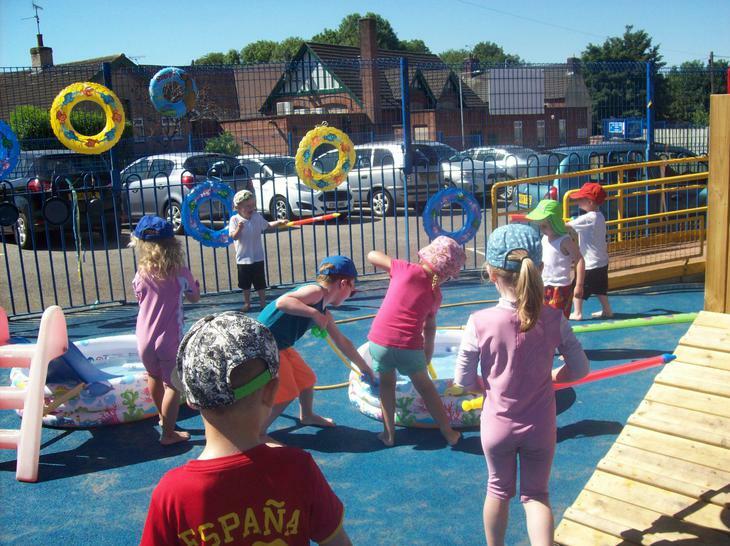 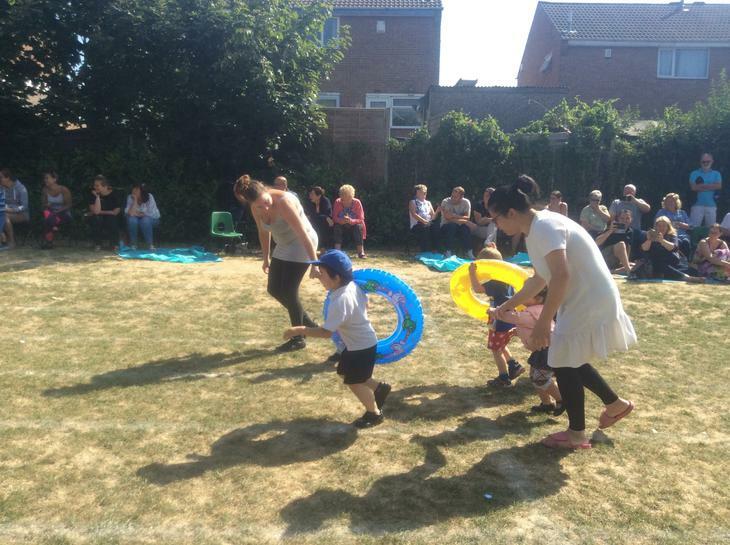 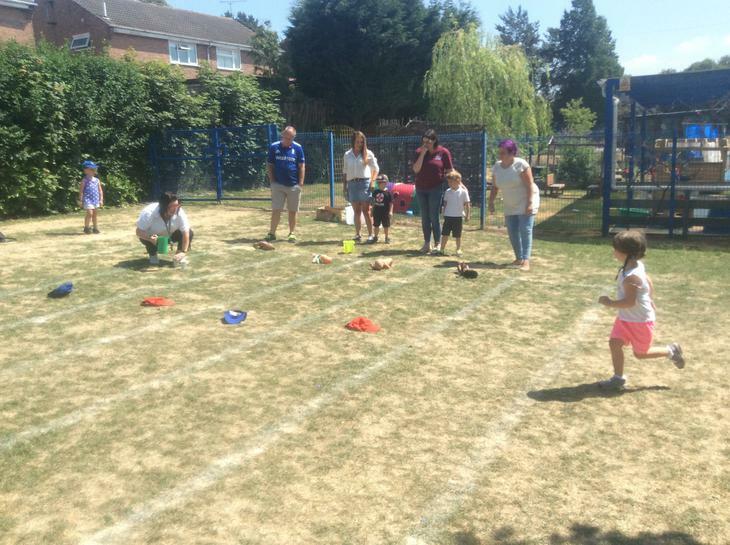 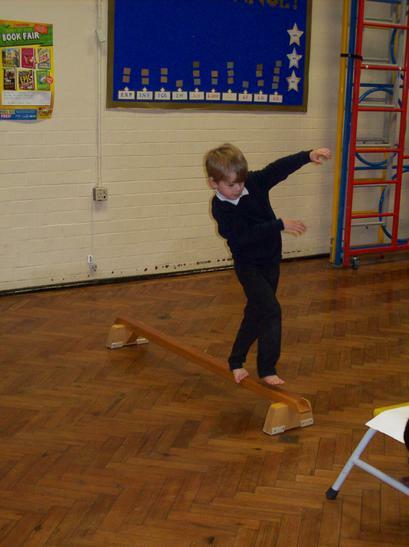 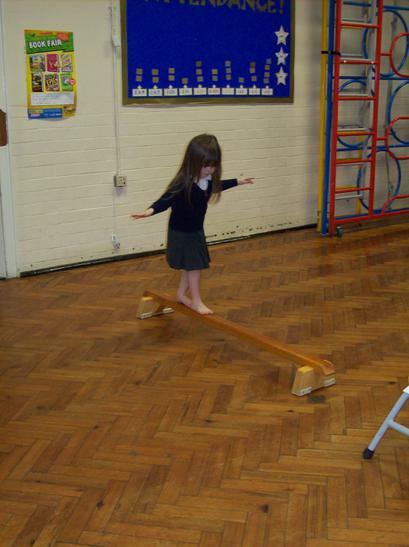 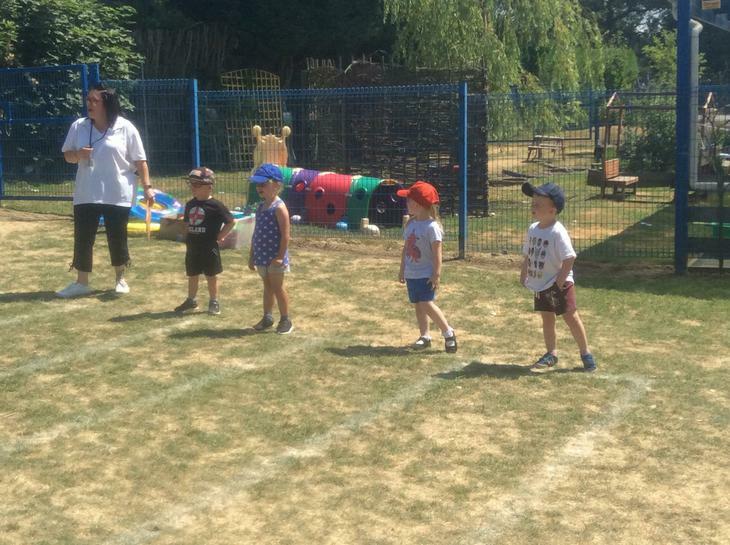 SPORTS DAY - Well done all the children and thank you parents for joining in with the fun. 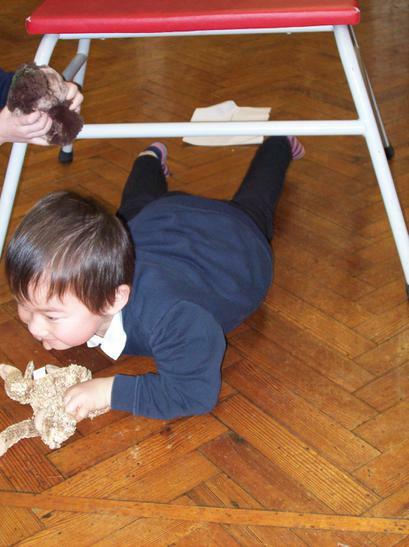 Explorers have been learning about life cycle of a frog. 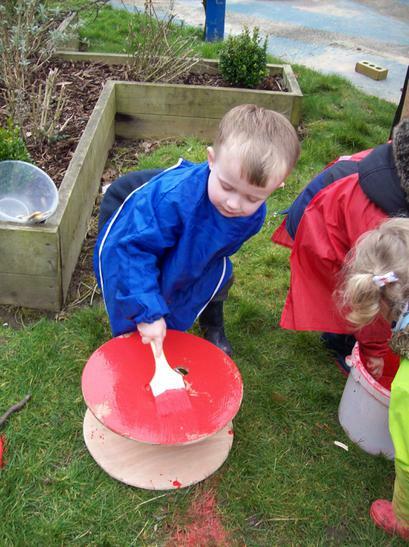 We have observed frogspawn turn into tadpoles. 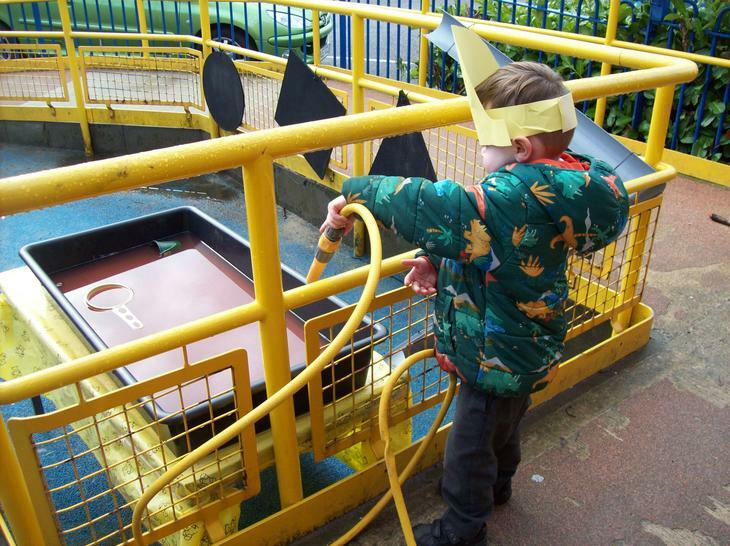 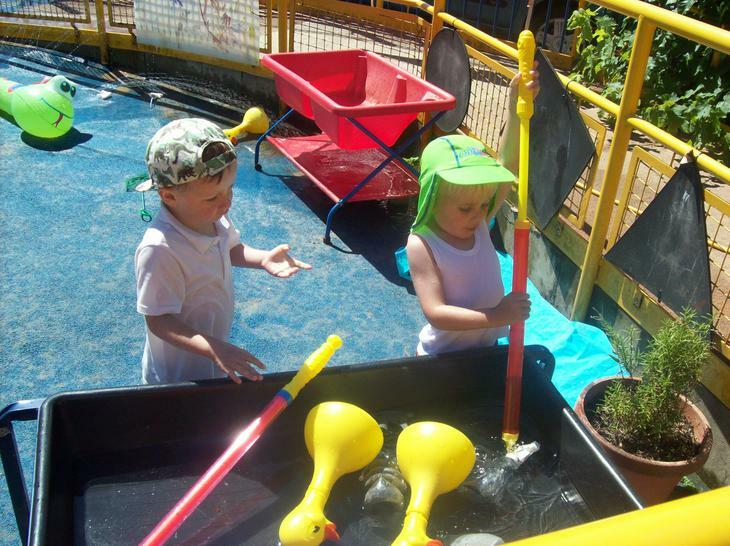 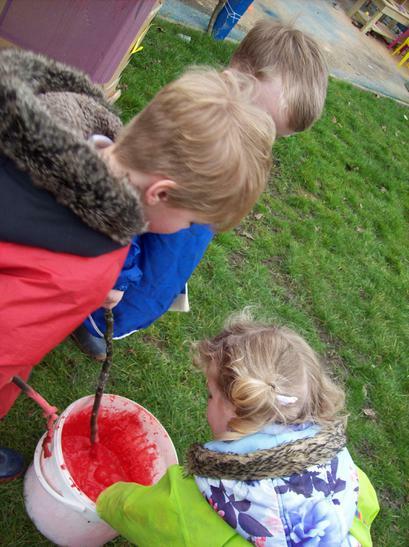 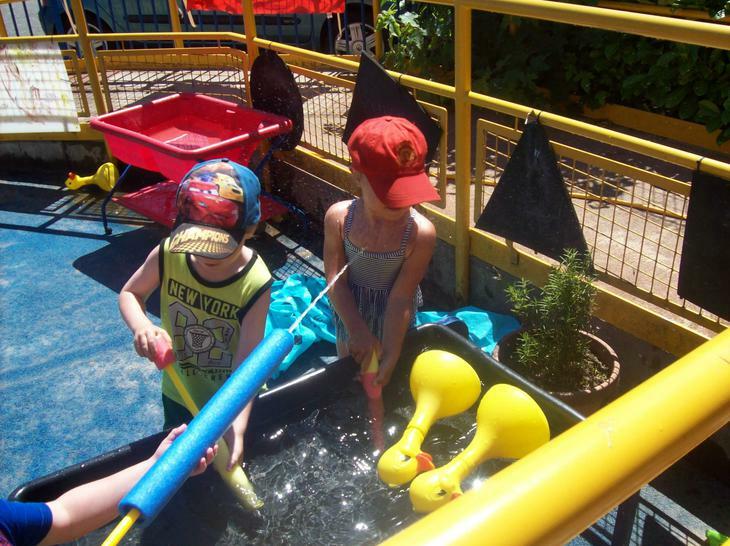 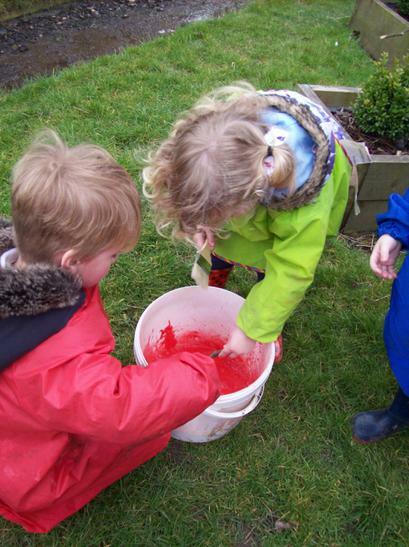 Children are checking the tank daily to see if tadpoles have grown legs. 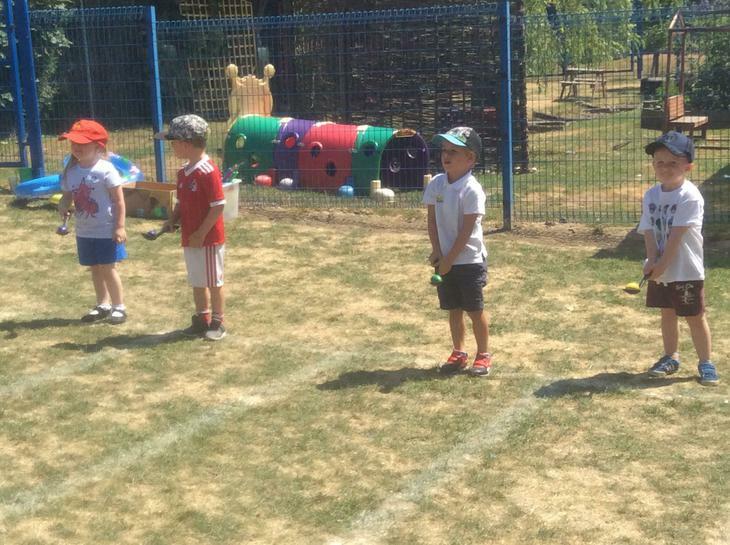 We currently have two frogs to watch and observe and talk about. 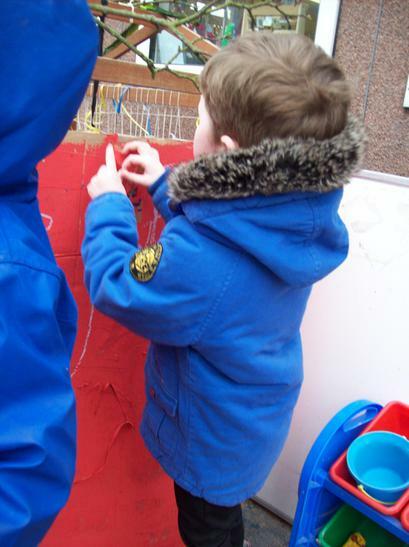 Explorers have planted potatoes, peas, lettuce, radishes, cress and sunflowers. 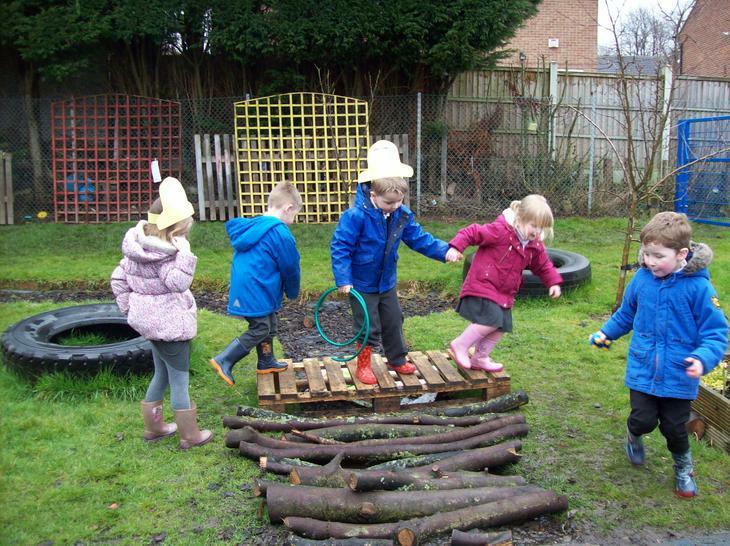 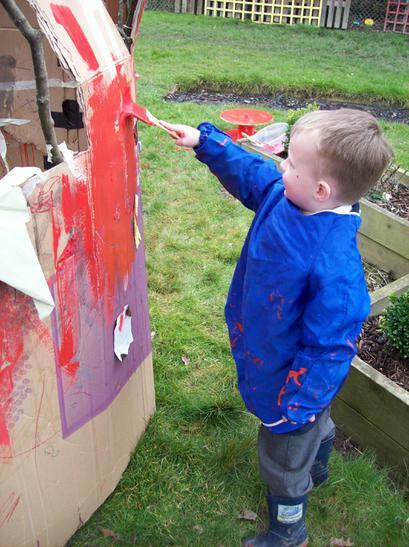 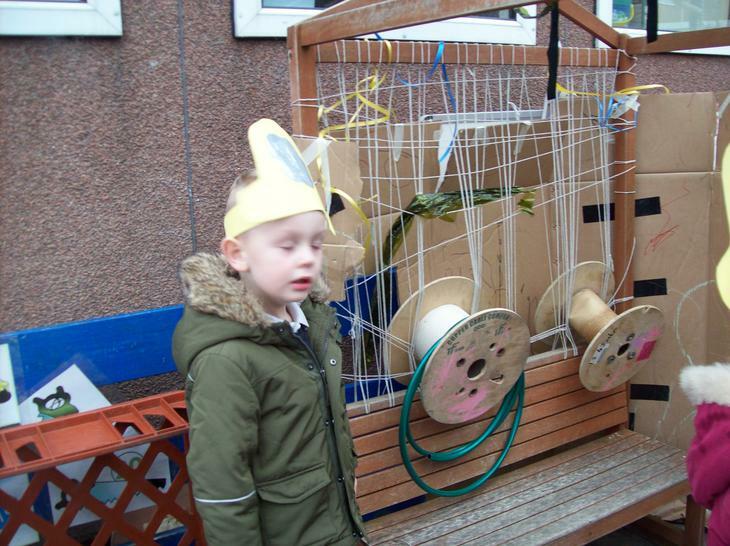 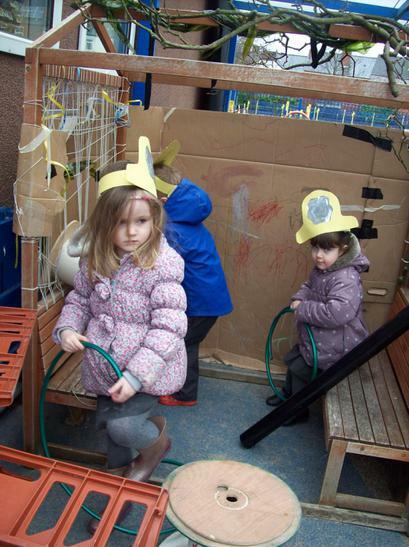 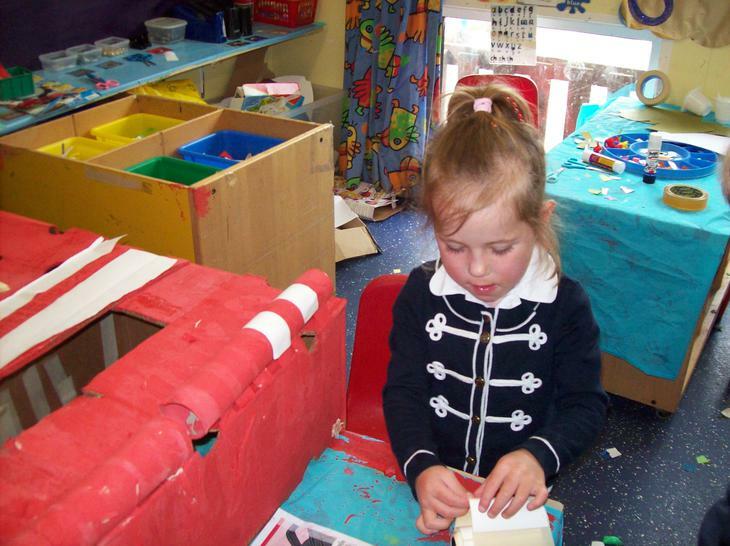 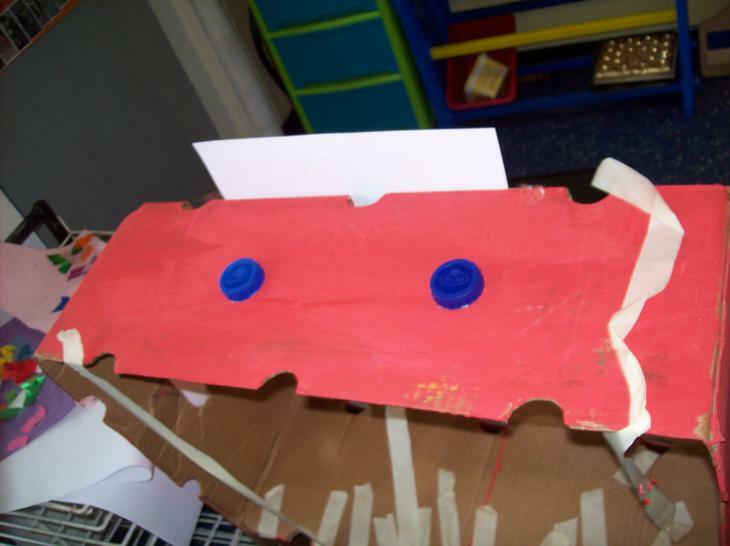 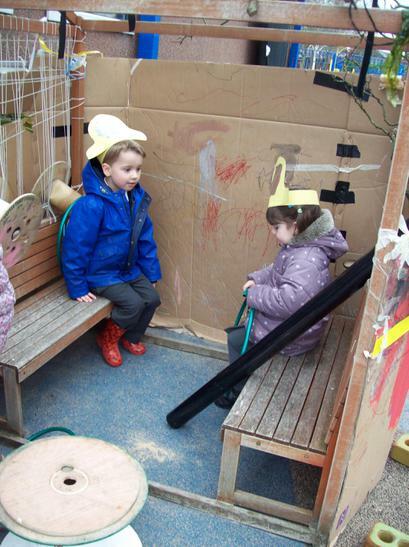 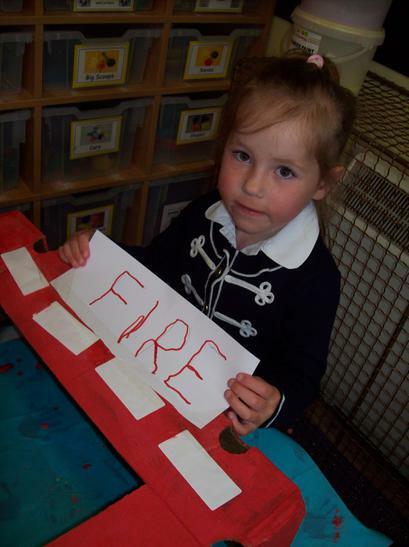 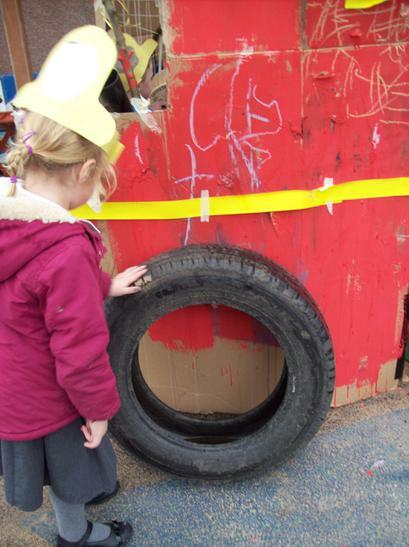 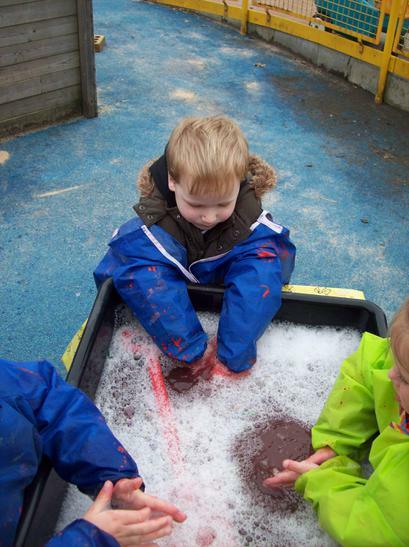 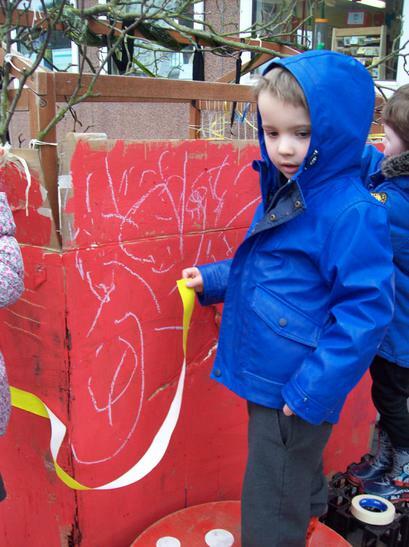 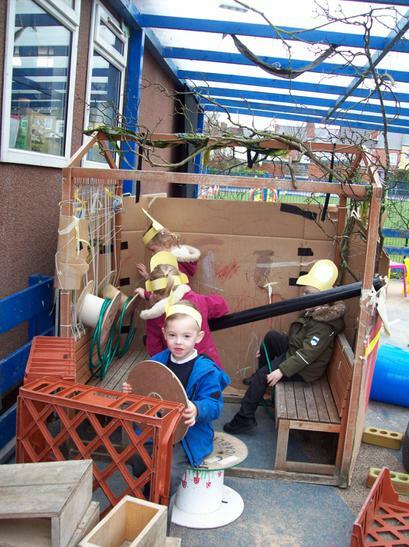 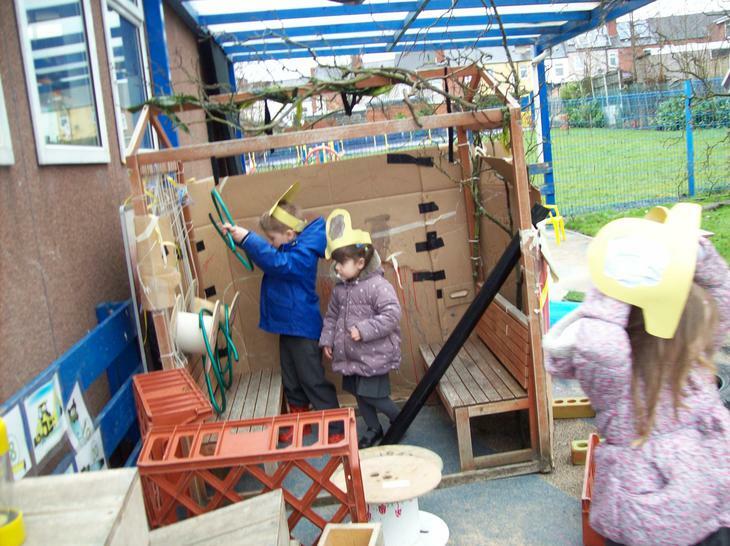 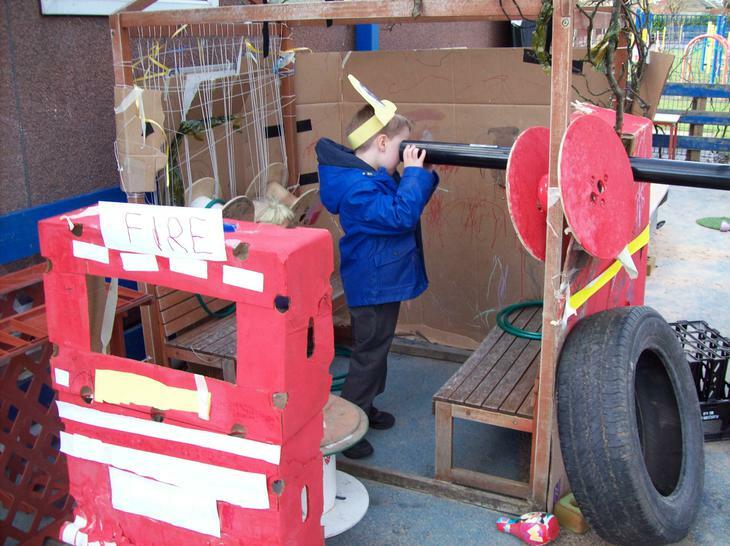 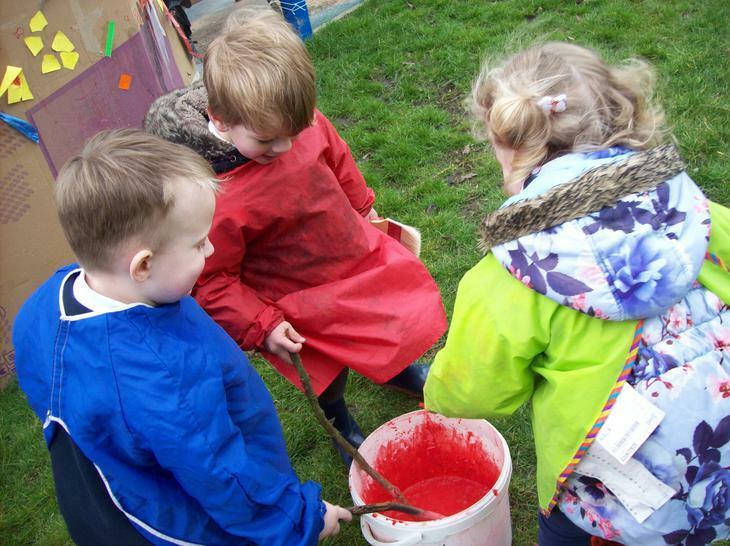 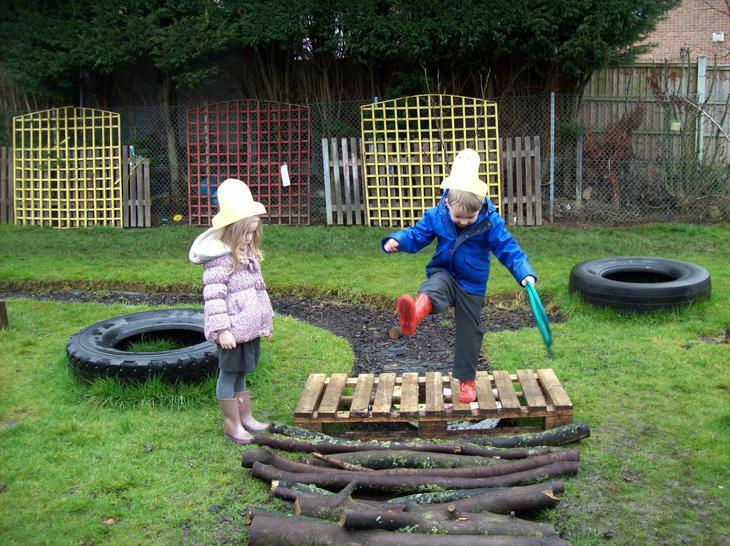 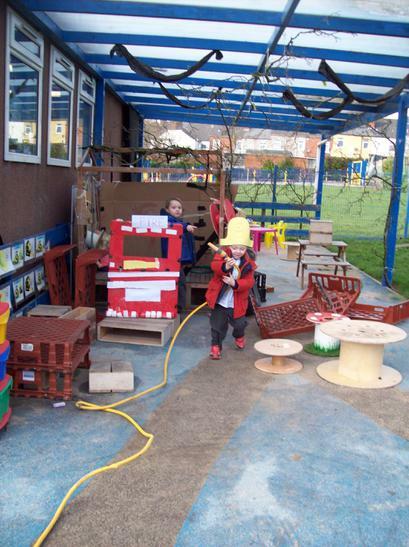 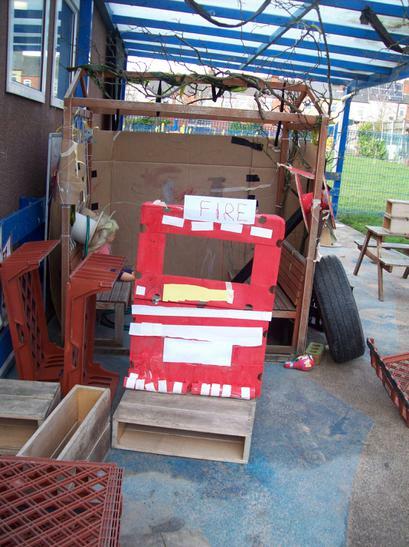 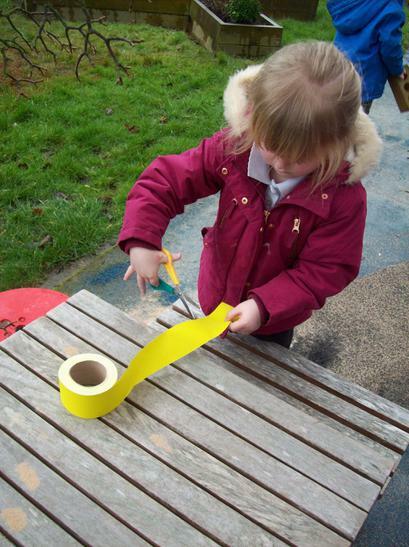 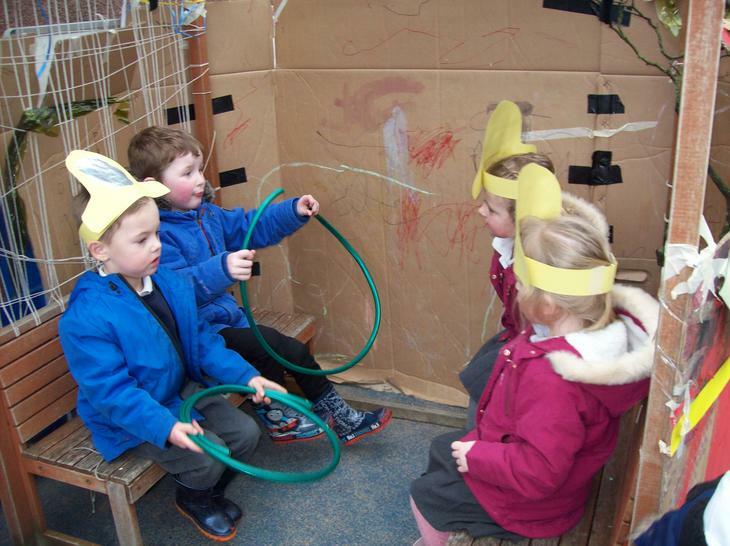 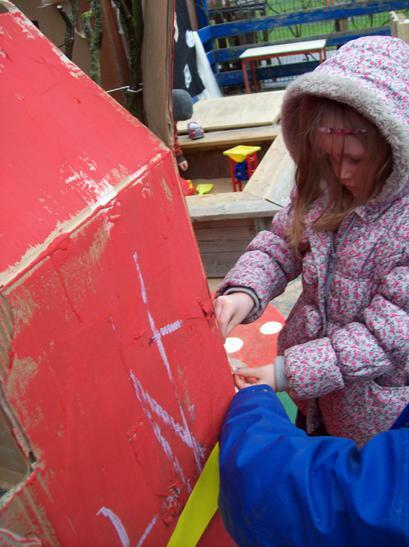 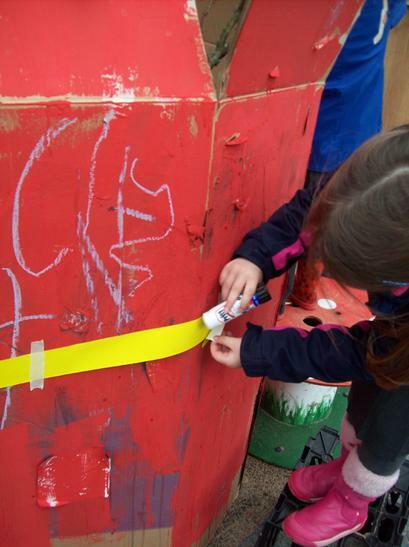 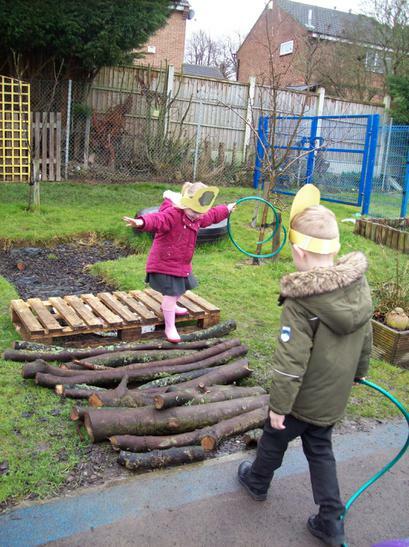 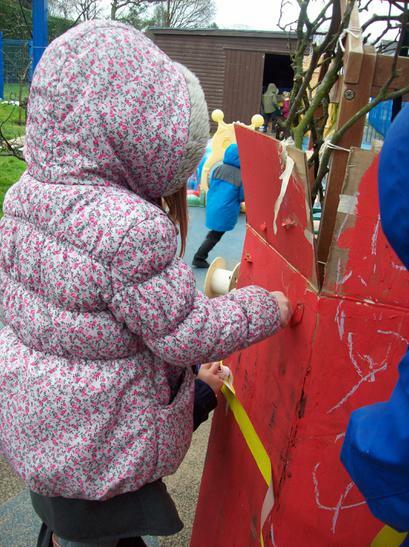 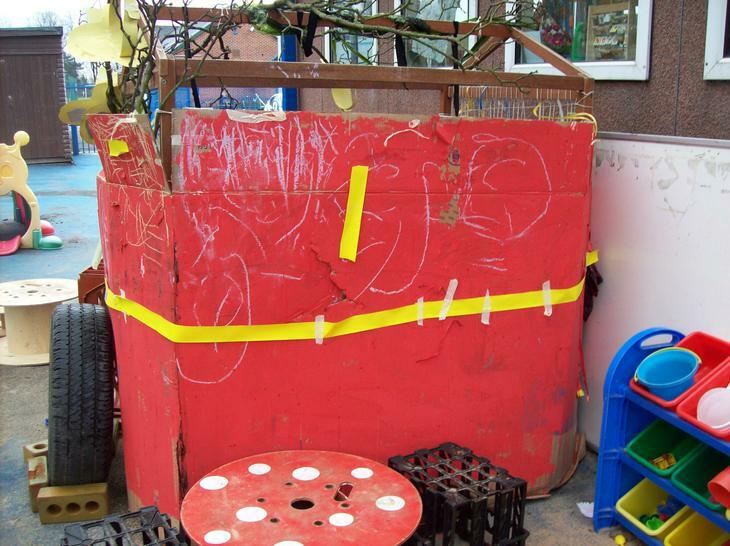 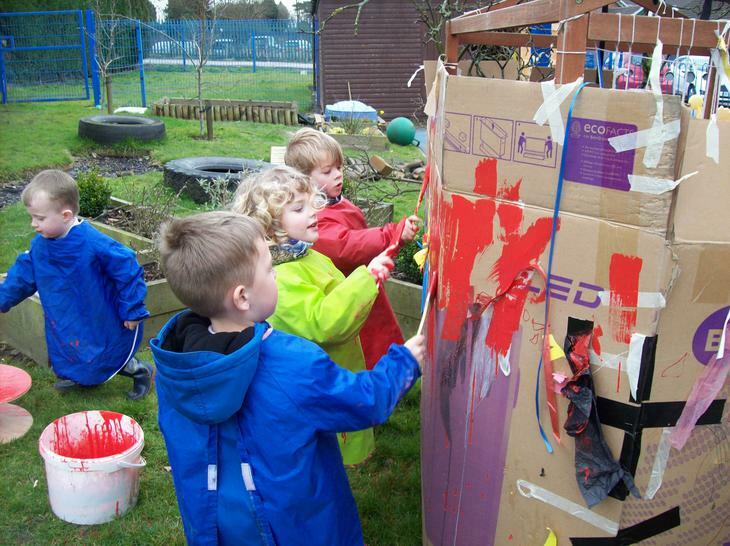 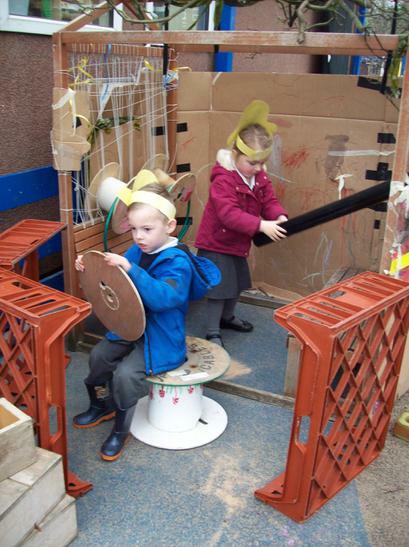 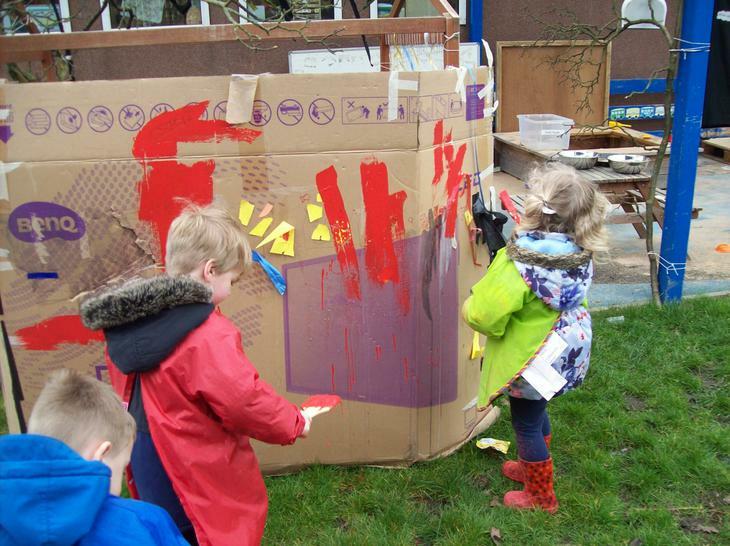 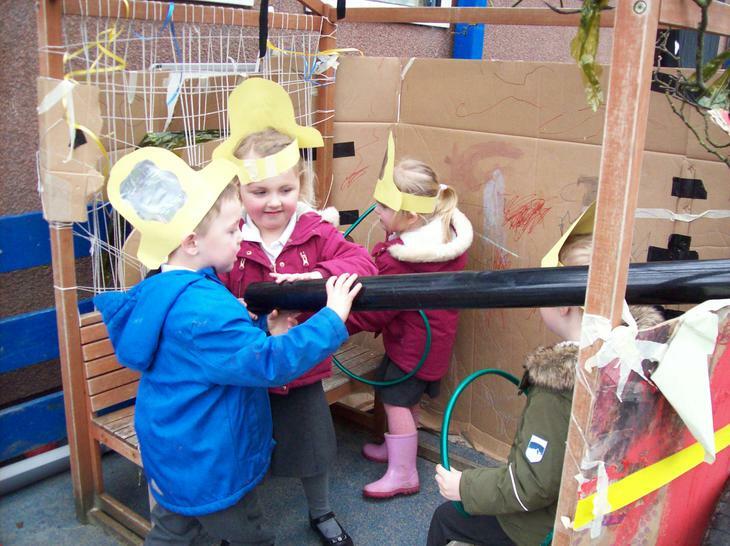 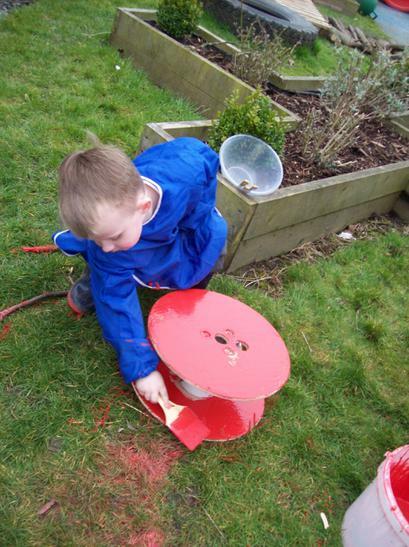 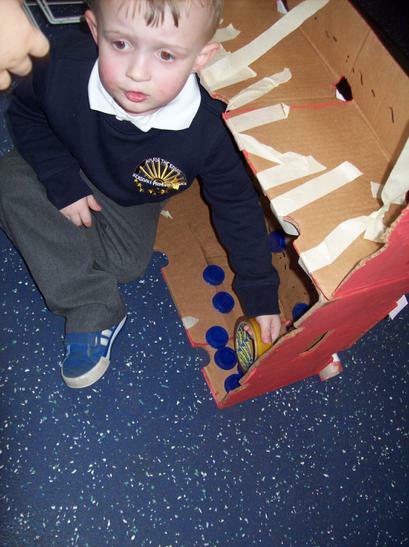 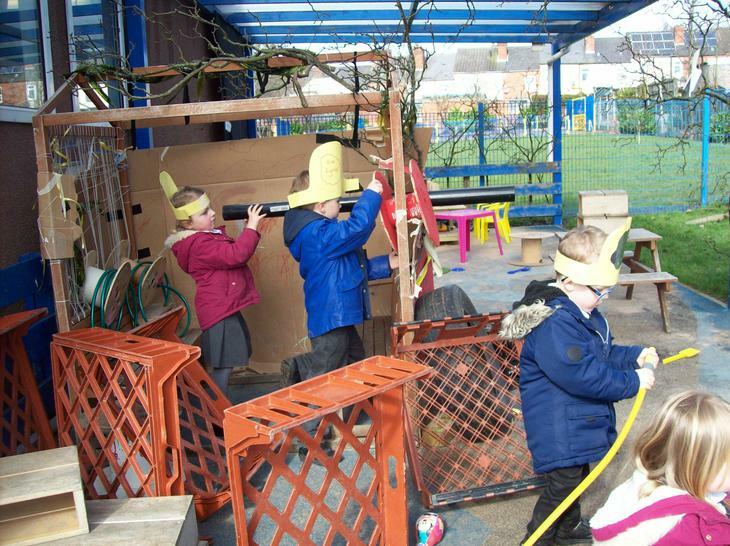 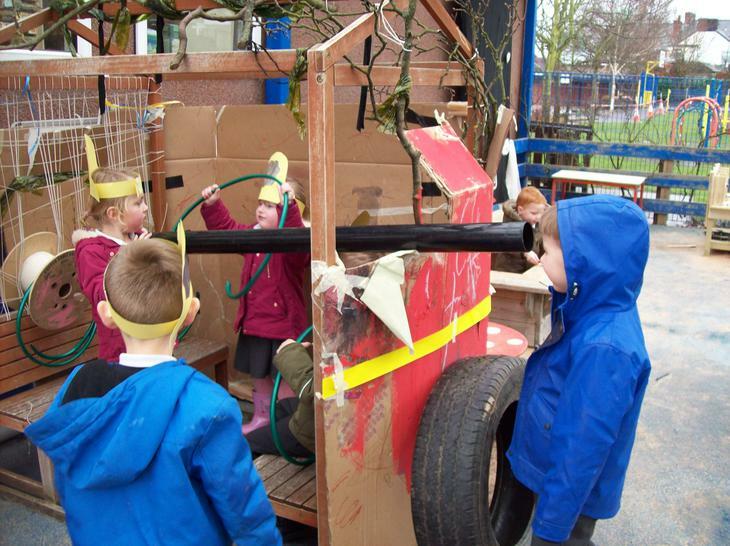 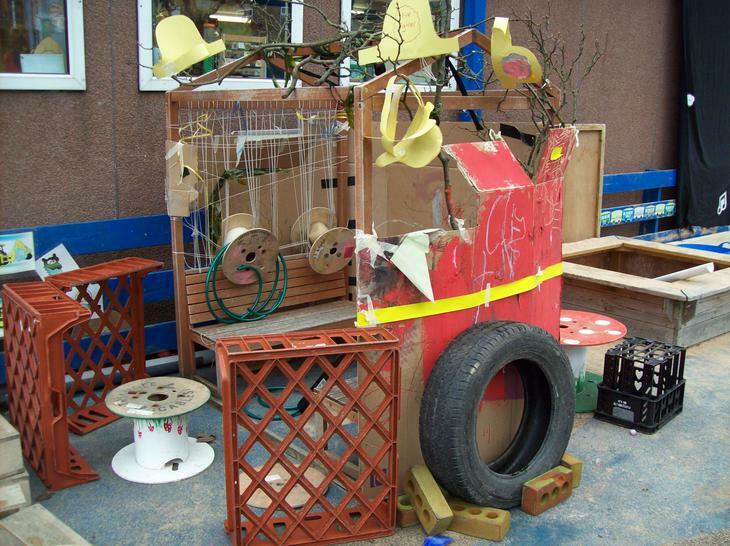 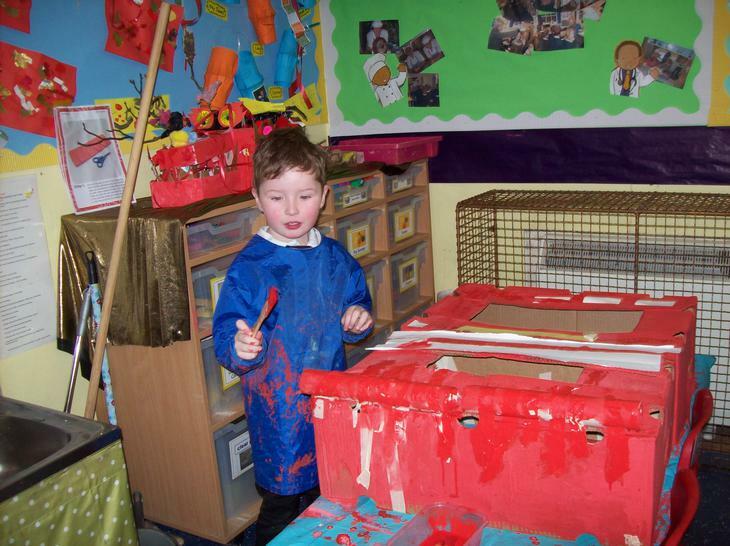 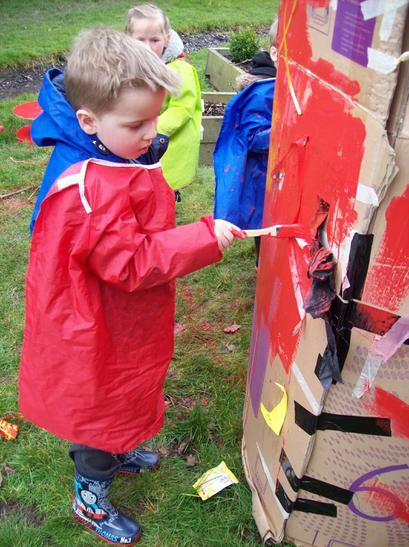 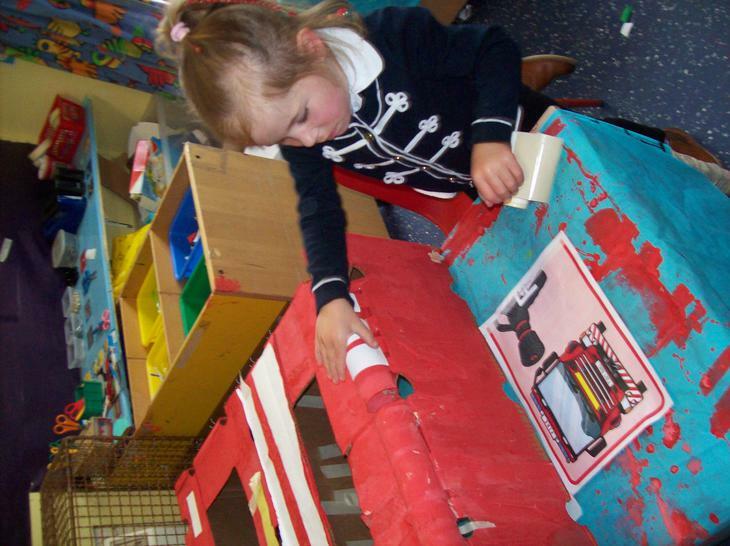 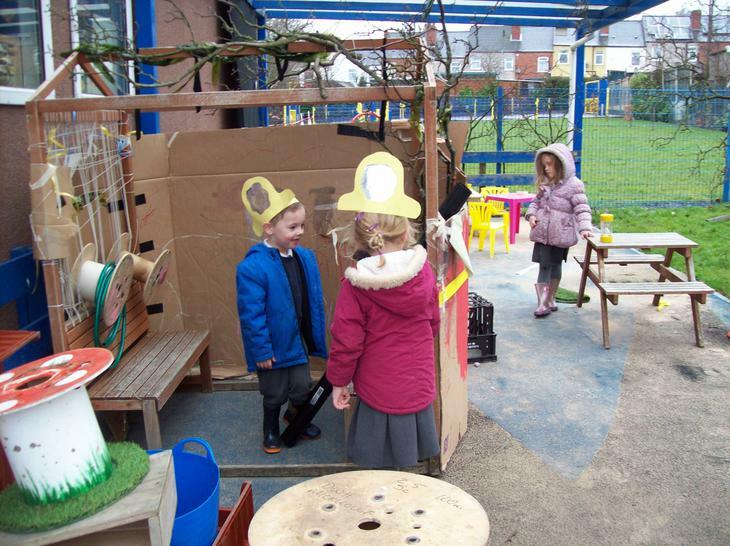 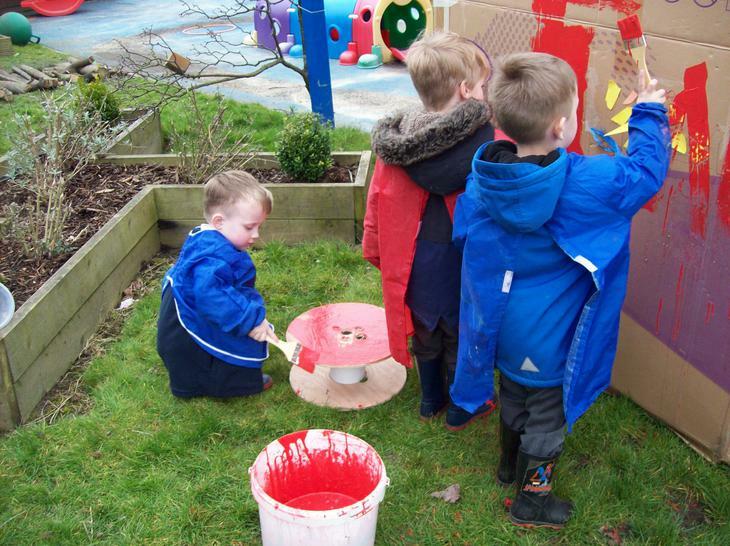 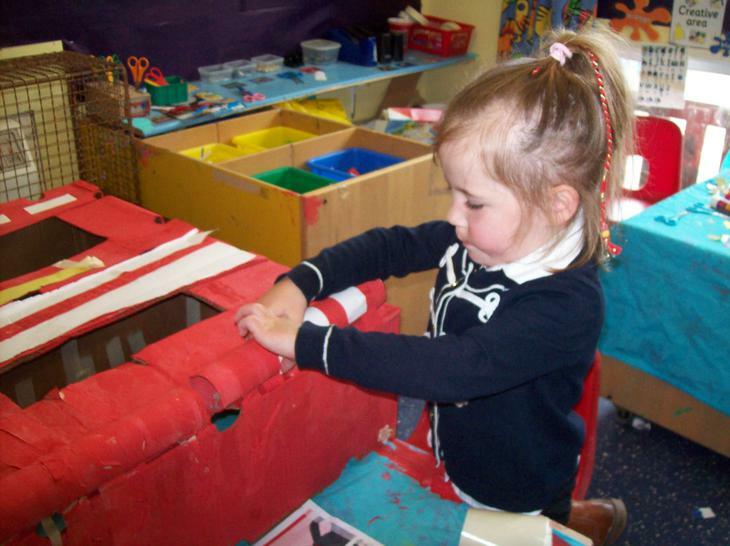 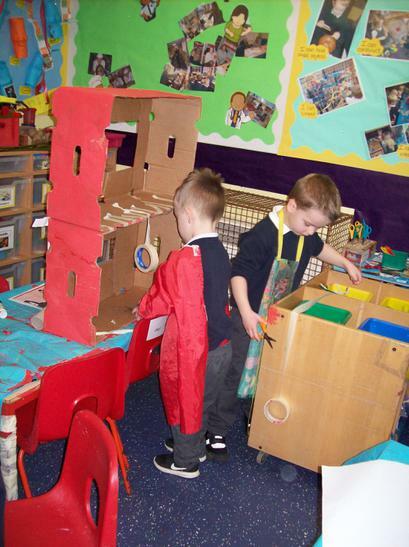 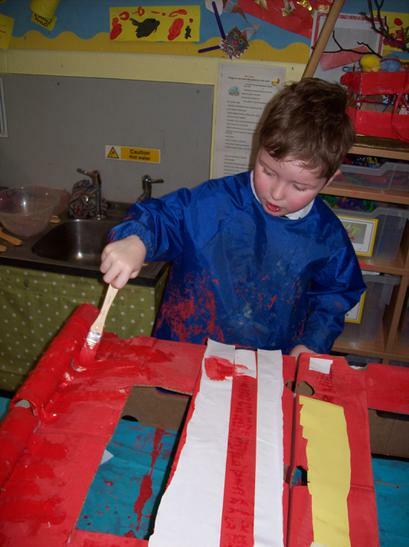 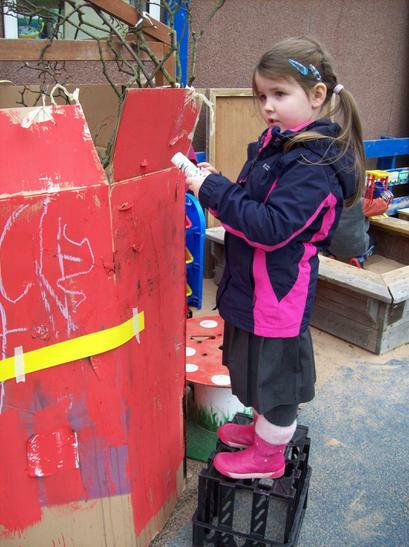 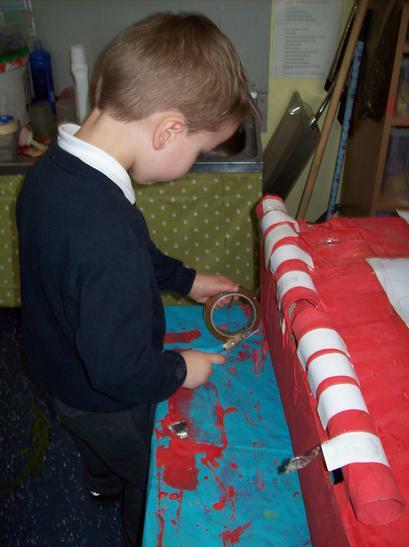 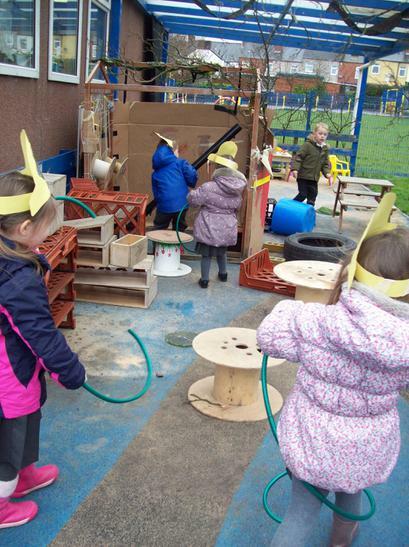 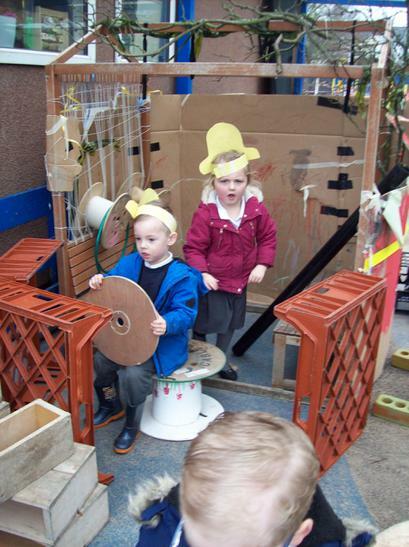 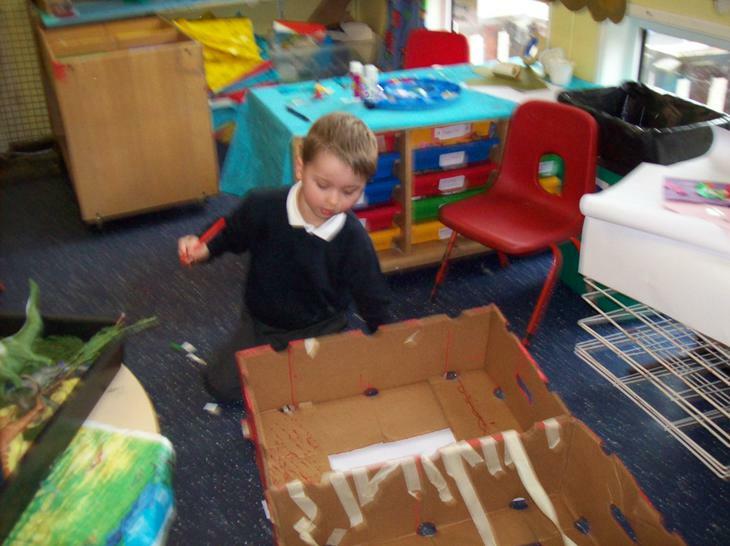 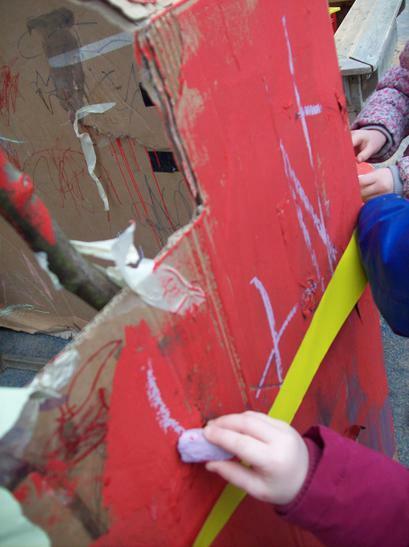 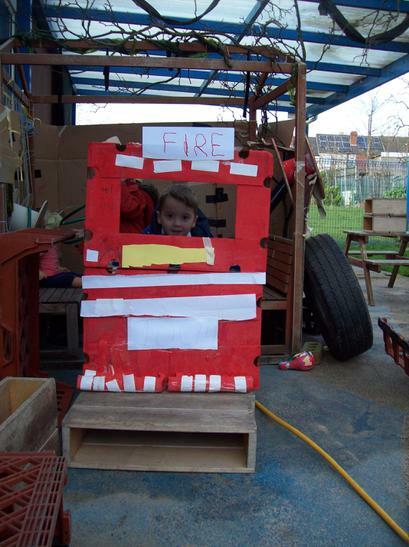 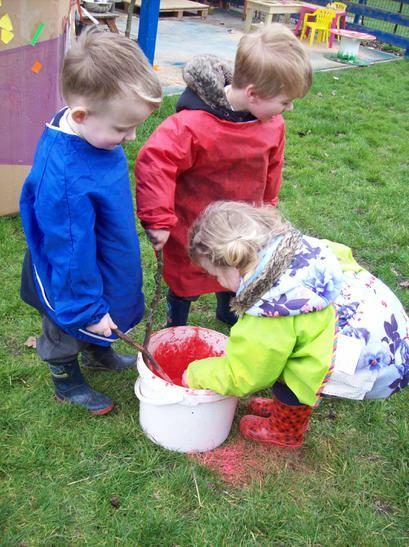 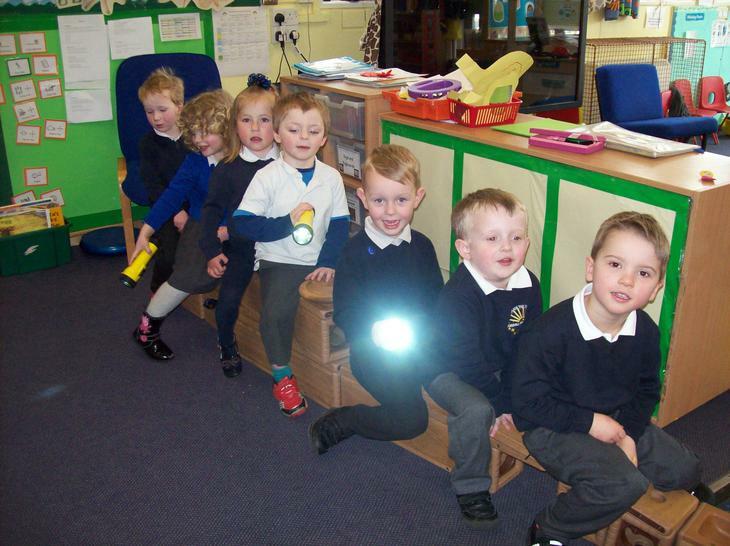 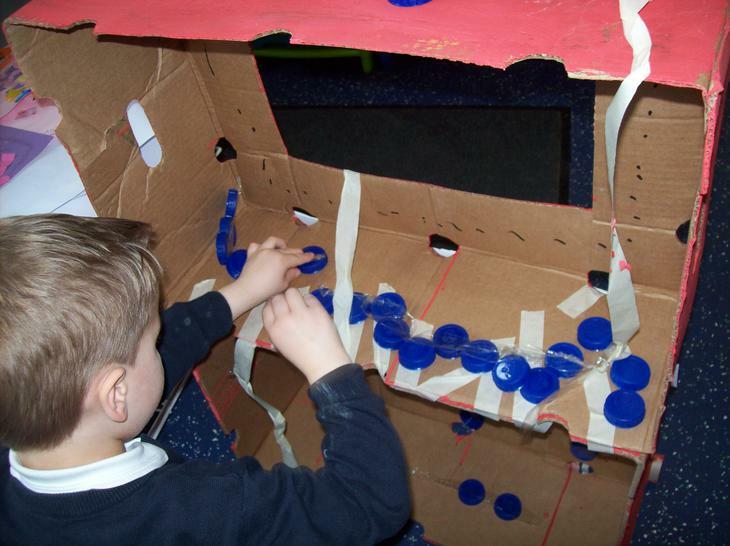 Explorers have been busy working together making a fire engine. 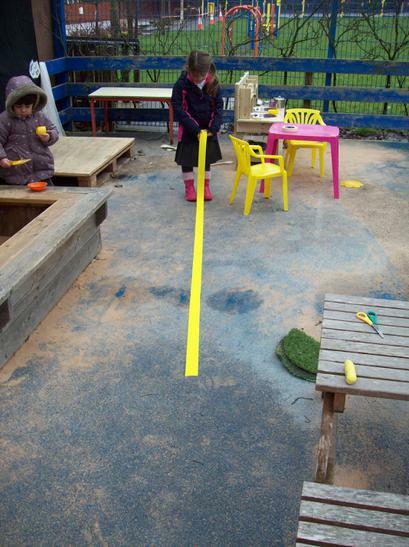 They painted, glued, measured and cut. 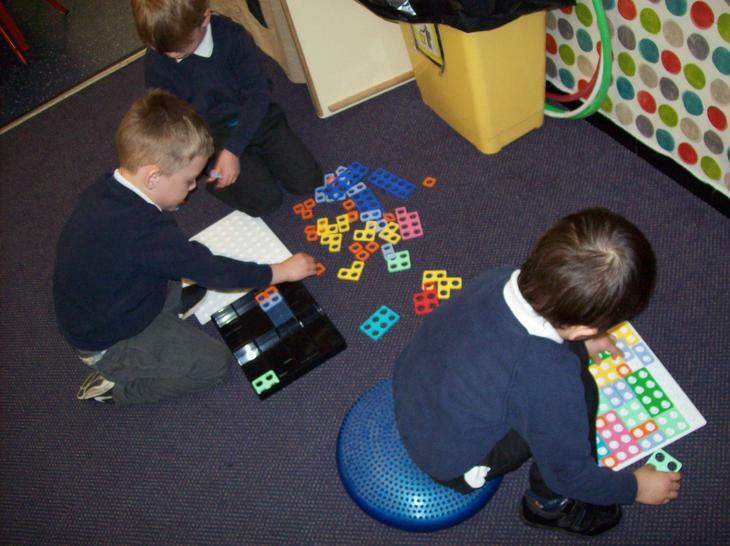 Testing their ideas and solving problems with fantastic results. 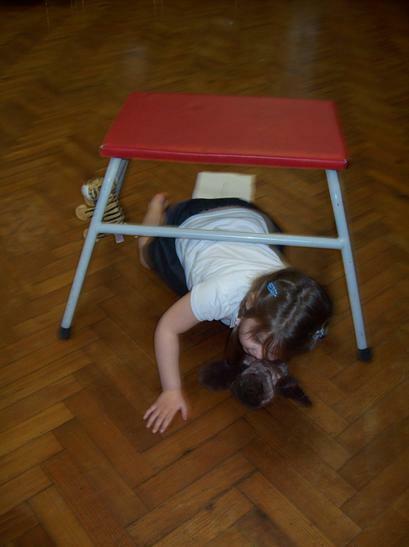 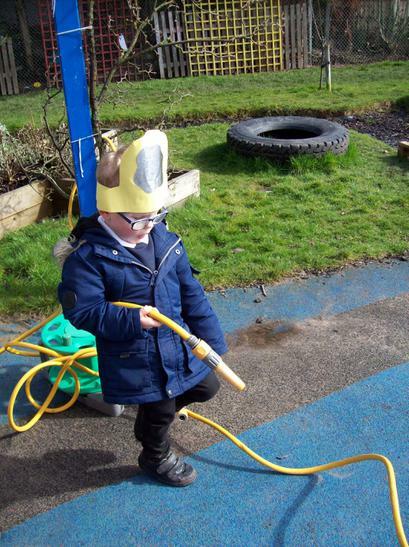 Next it was time to become a firefighter and children took part in vigorous training exercises in the hall, outside and even in the dark tent using torches. 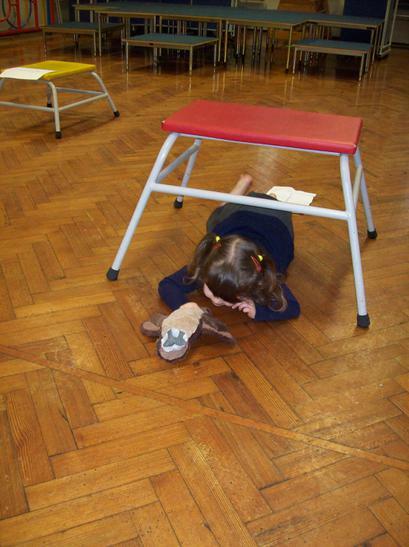 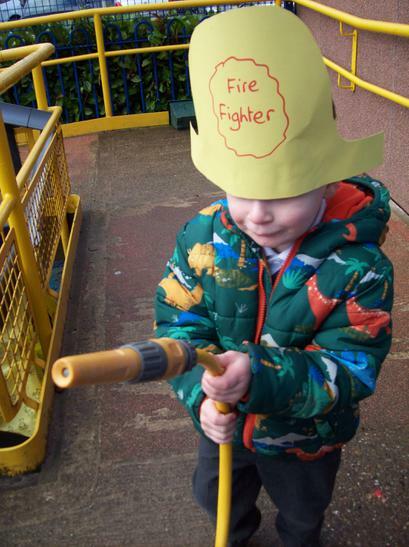 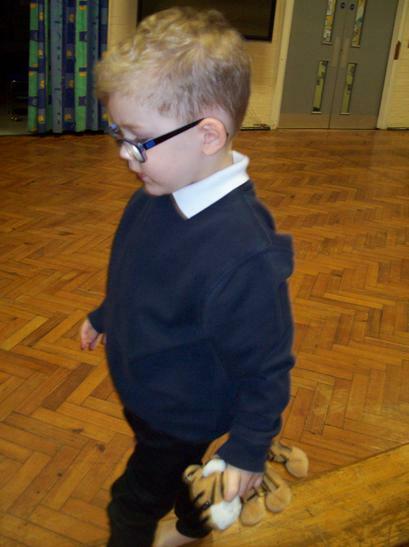 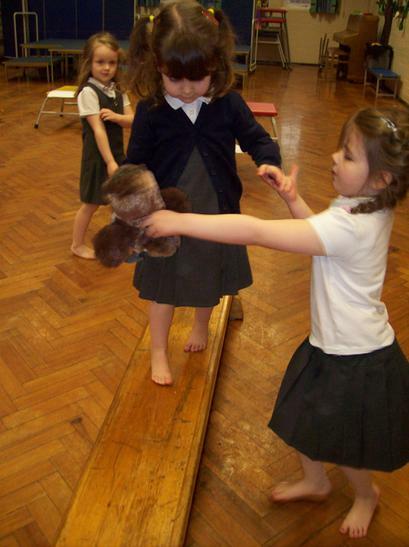 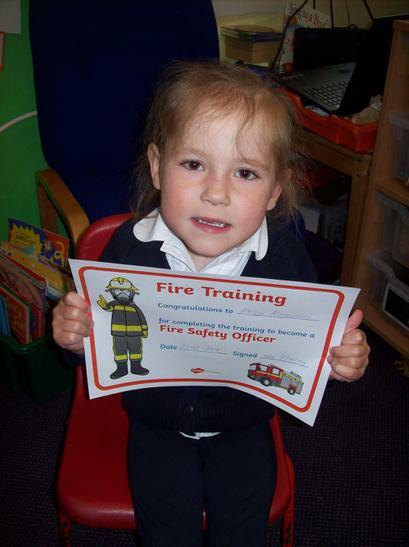 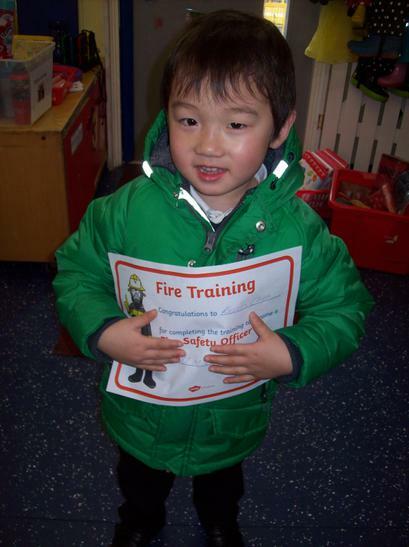 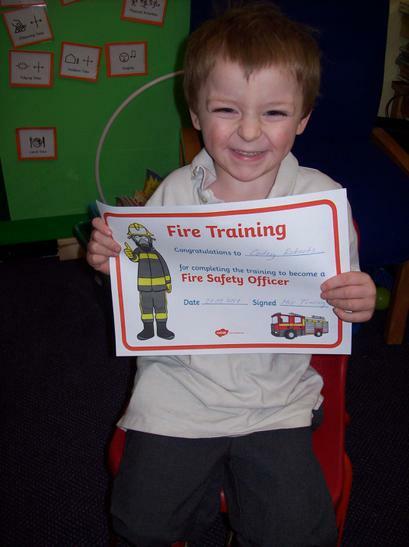 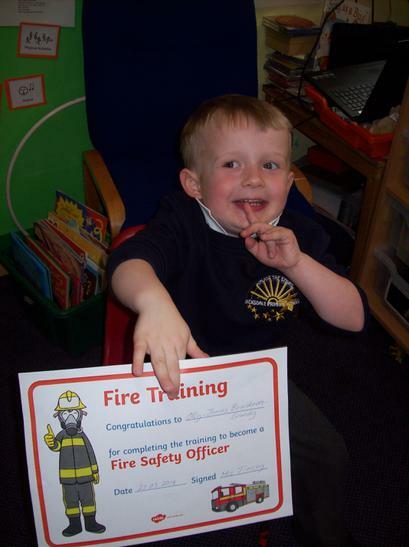 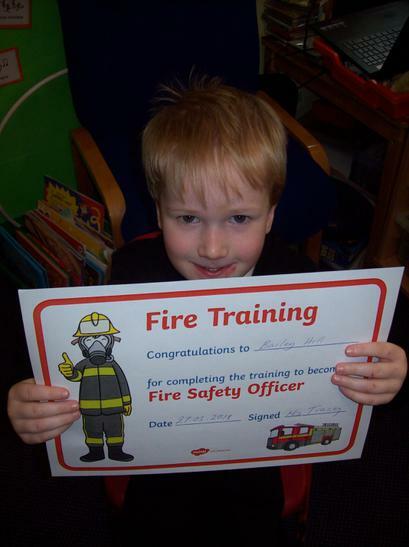 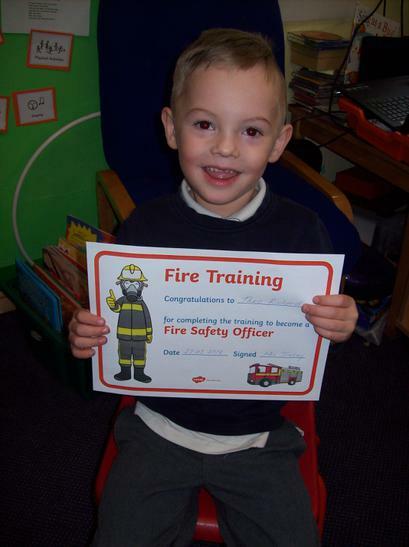 Every child received a Fire Fighter training certificate. 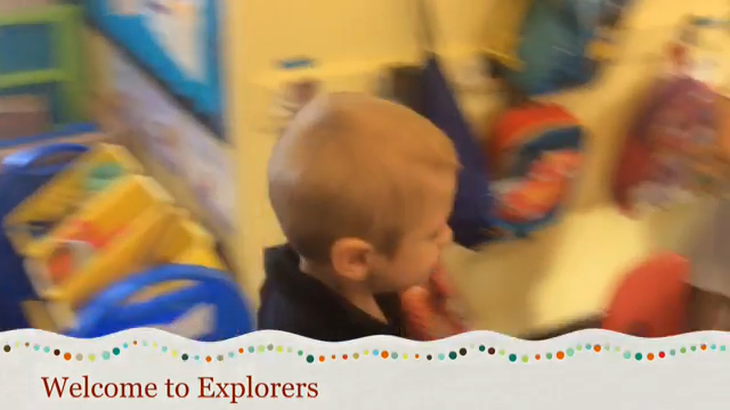 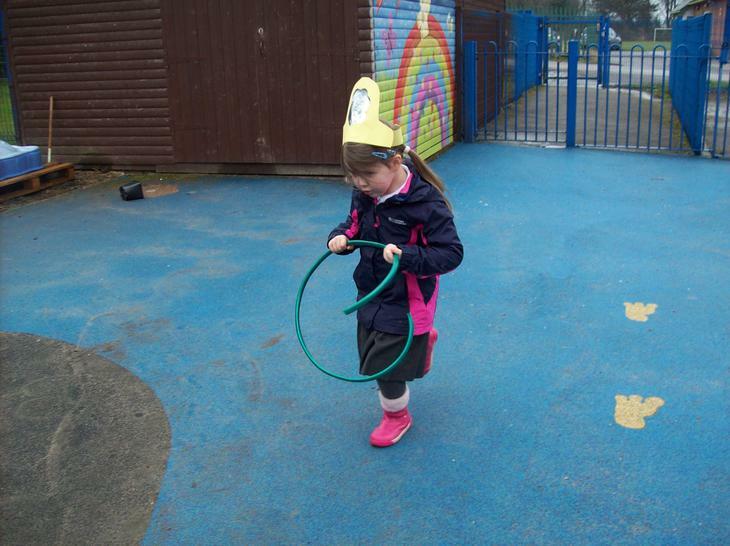 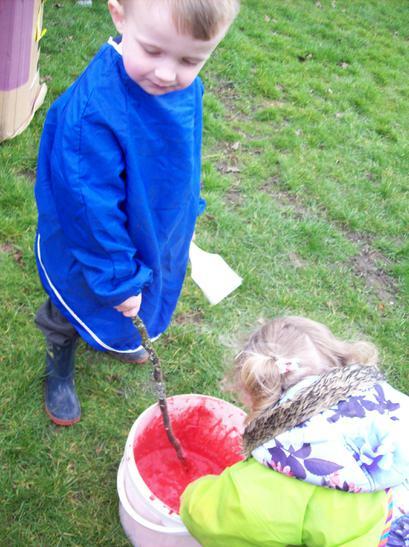 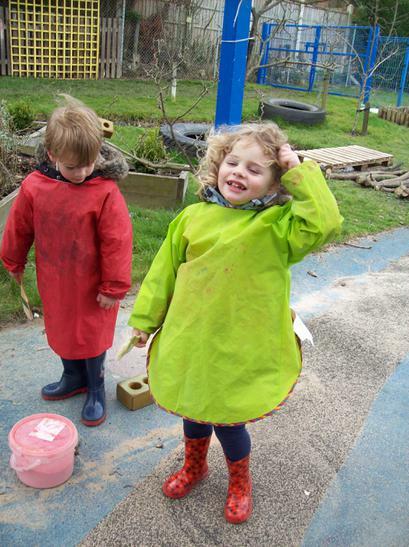 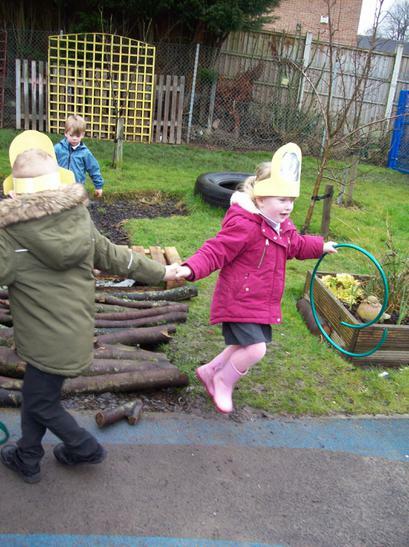 Explorers are having fun in the rain testing out our new waterproof clothing. 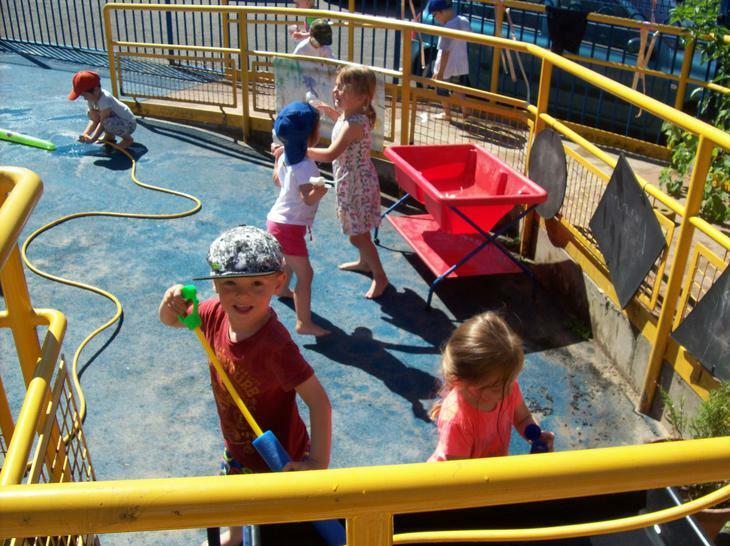 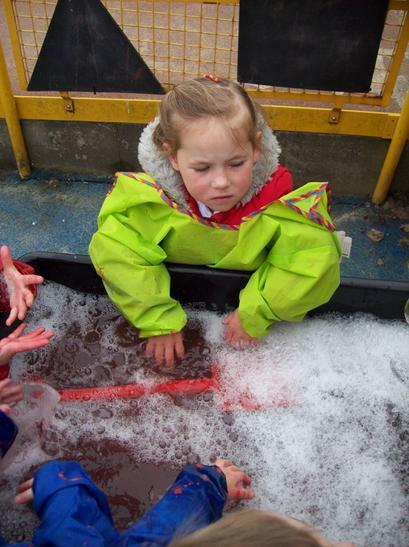 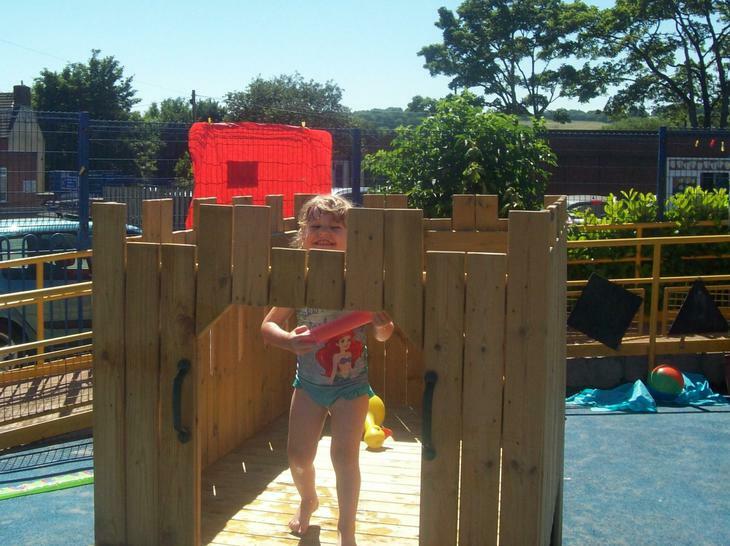 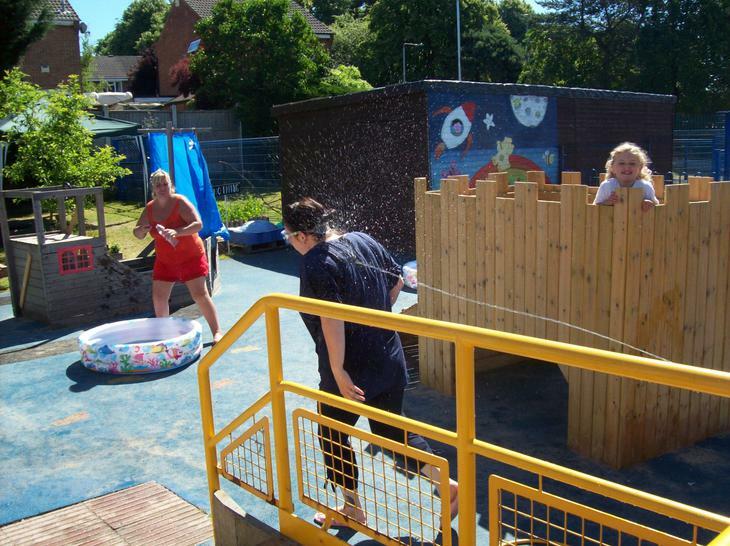 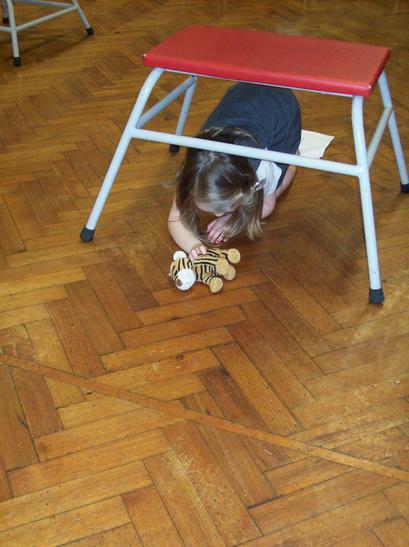 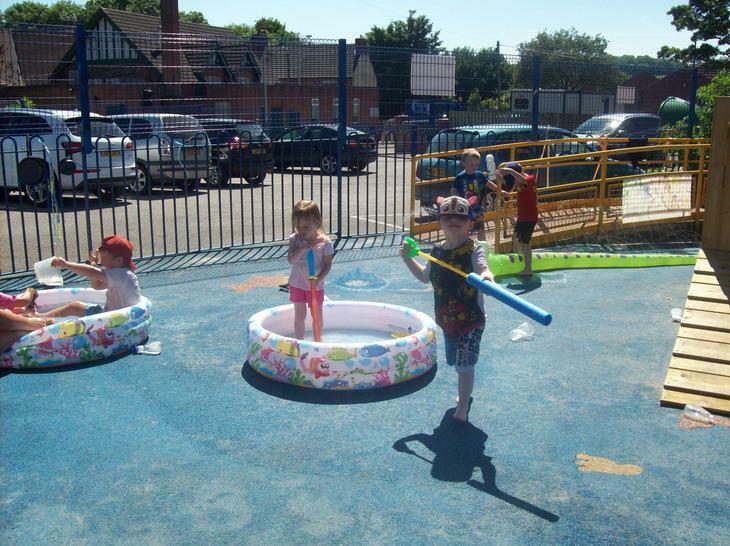 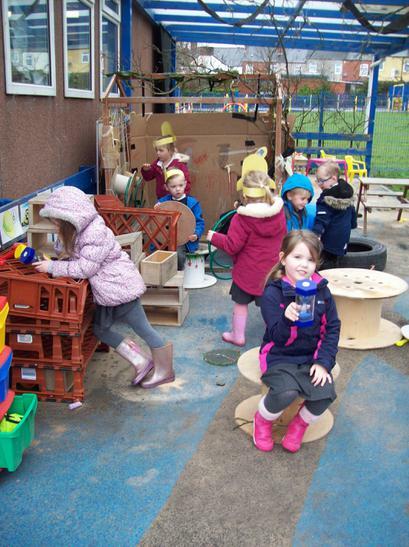 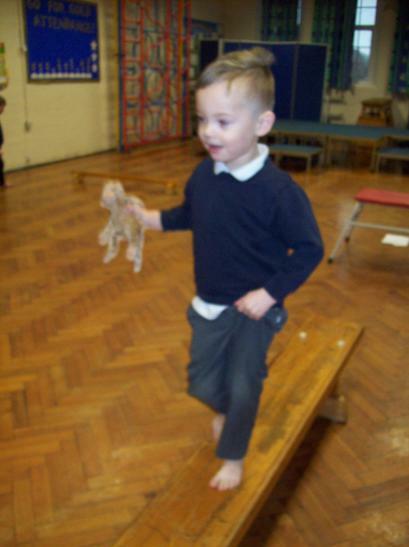 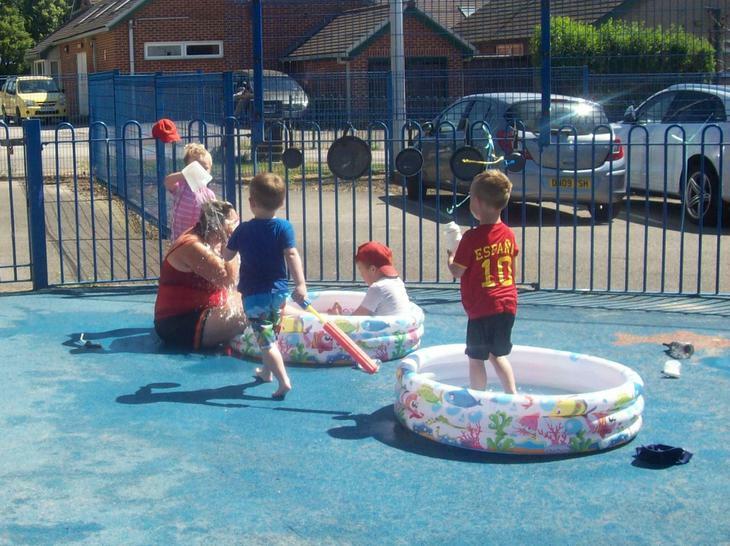 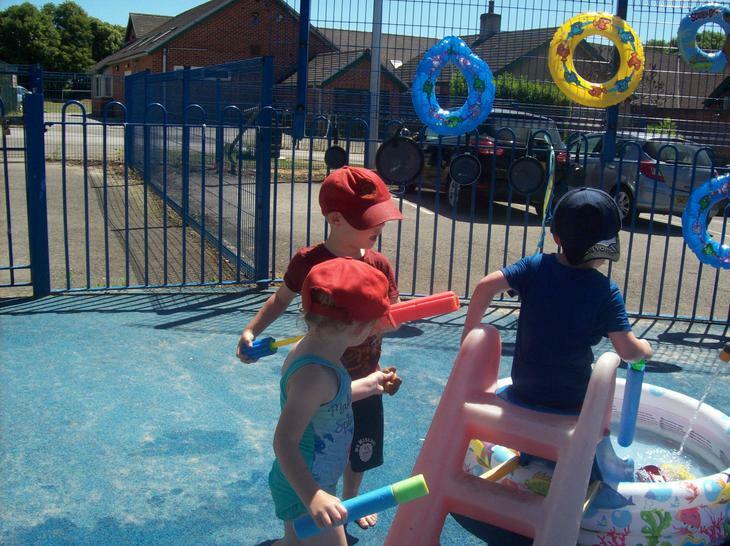 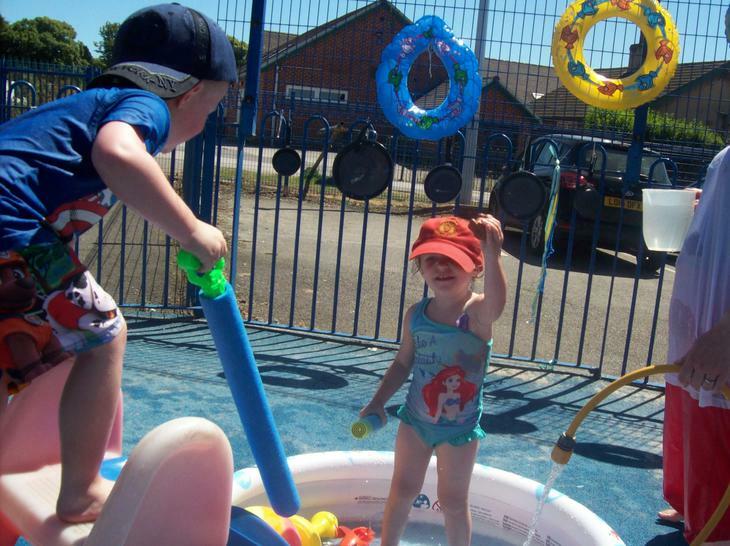 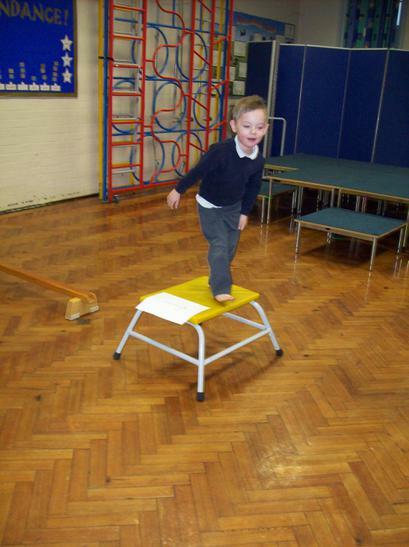 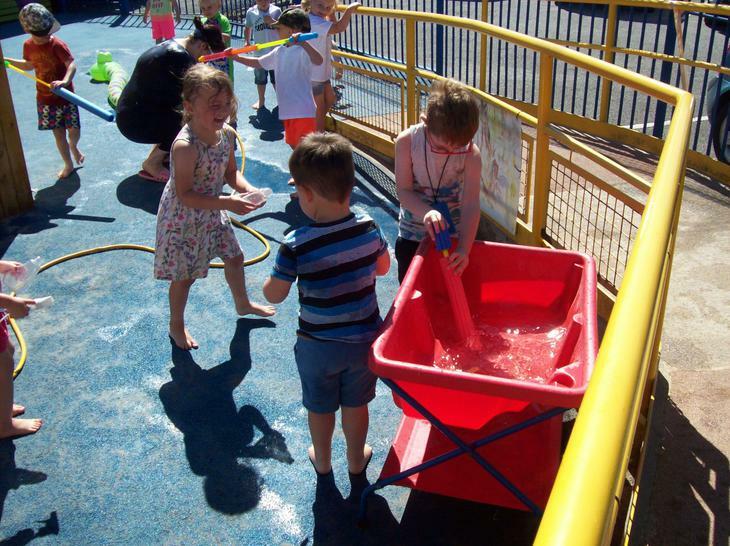 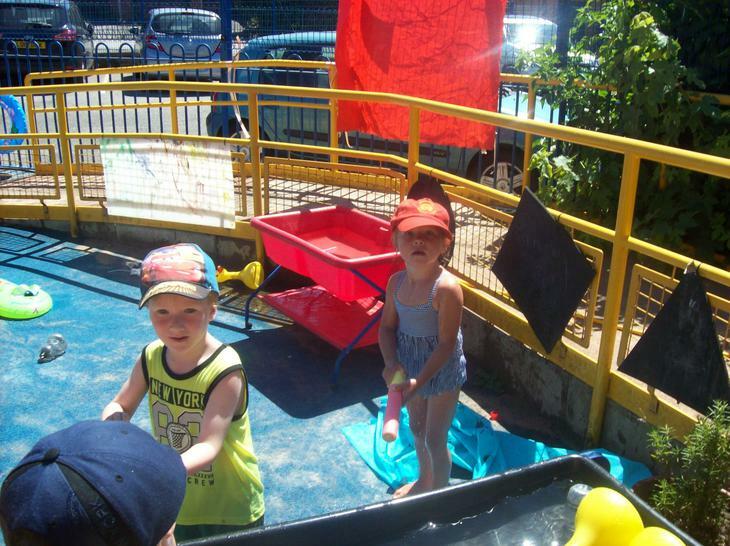 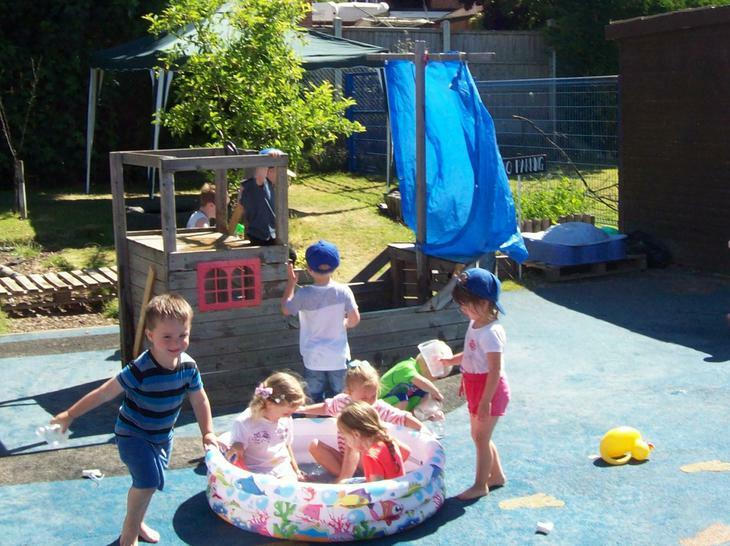 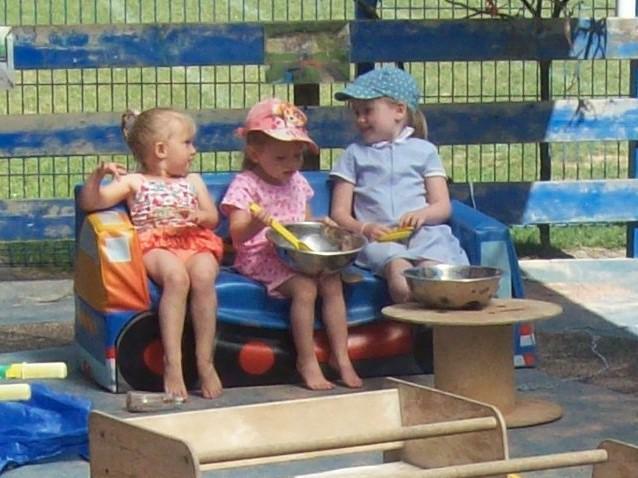 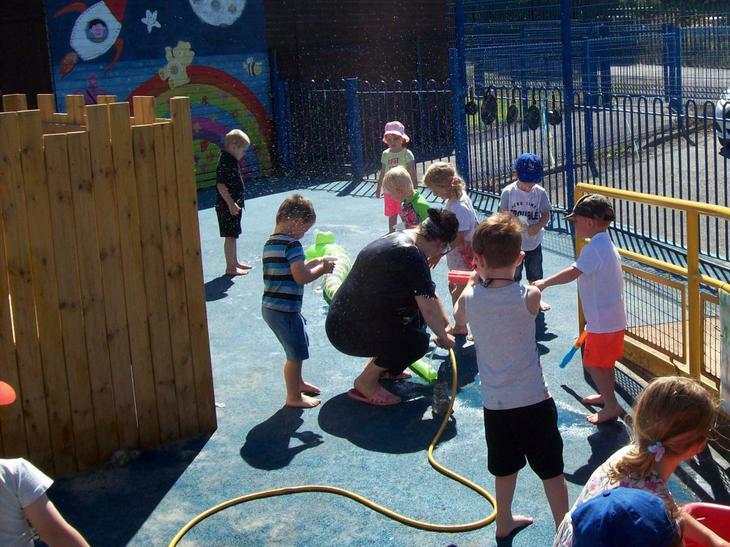 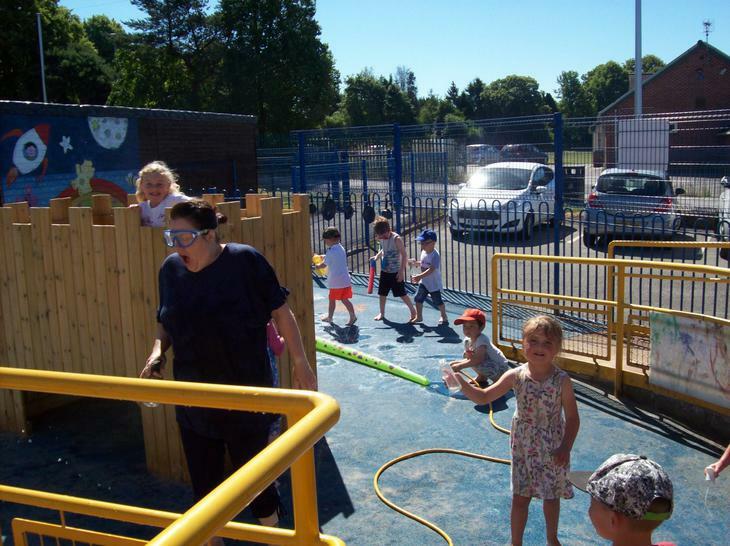 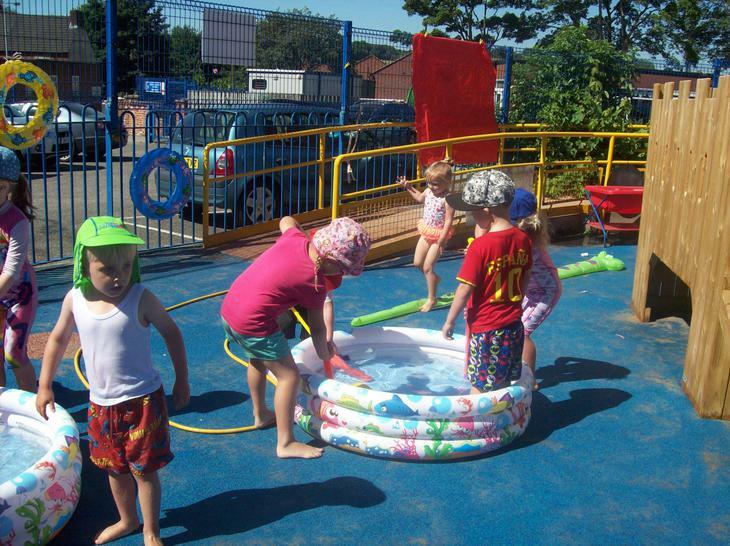 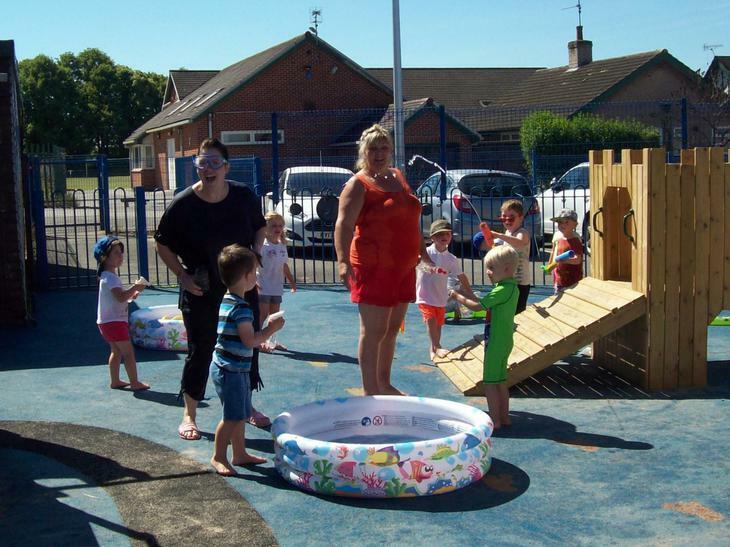 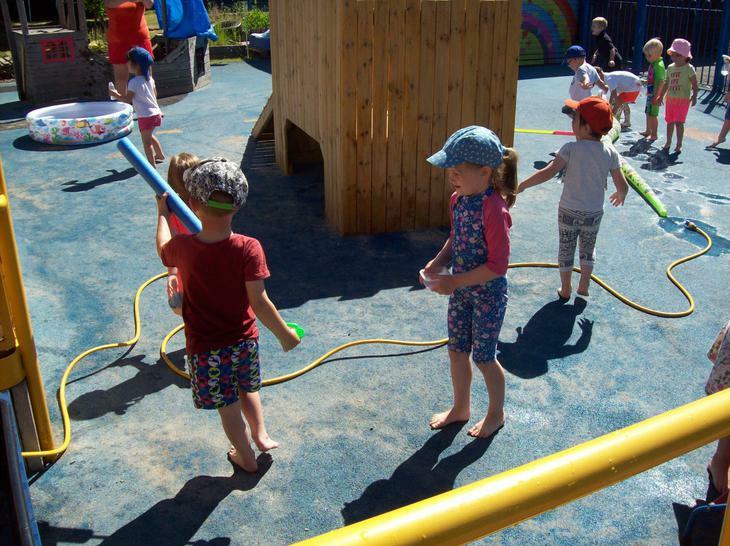 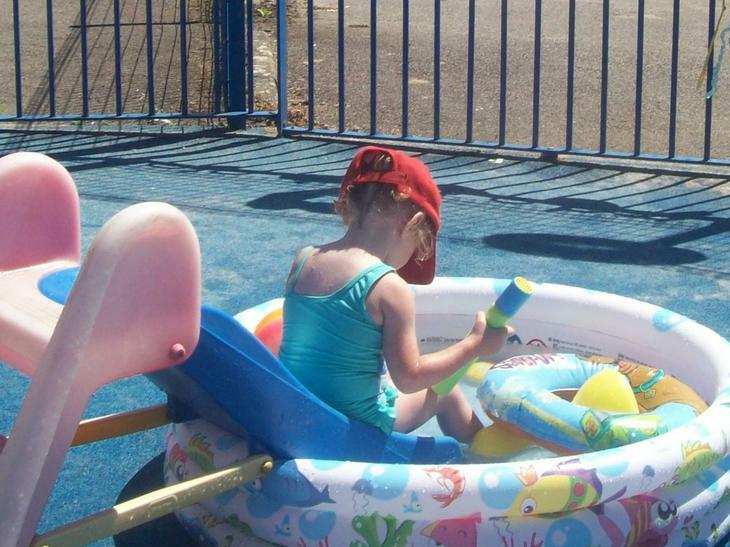 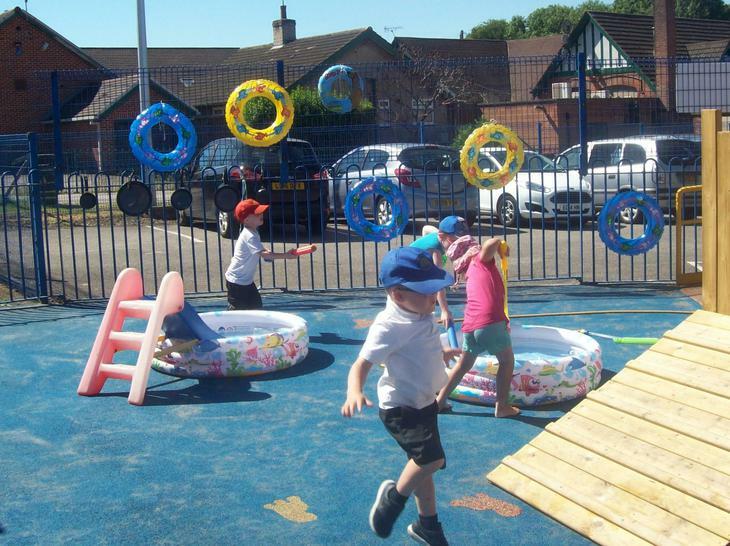 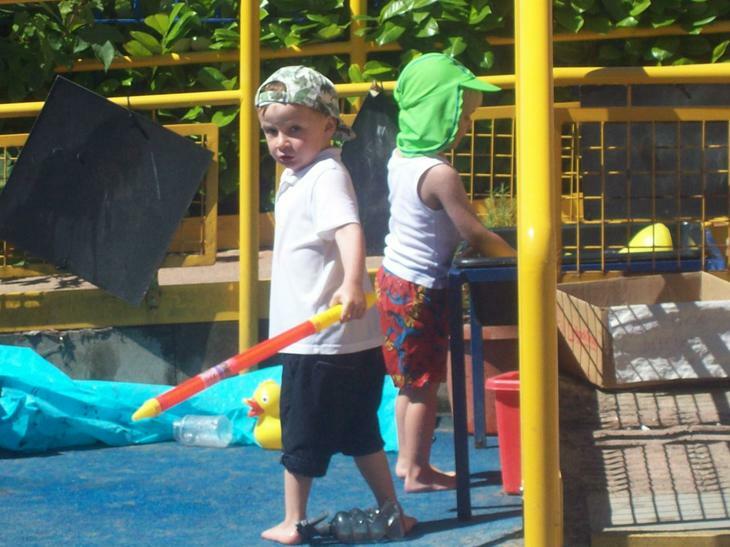 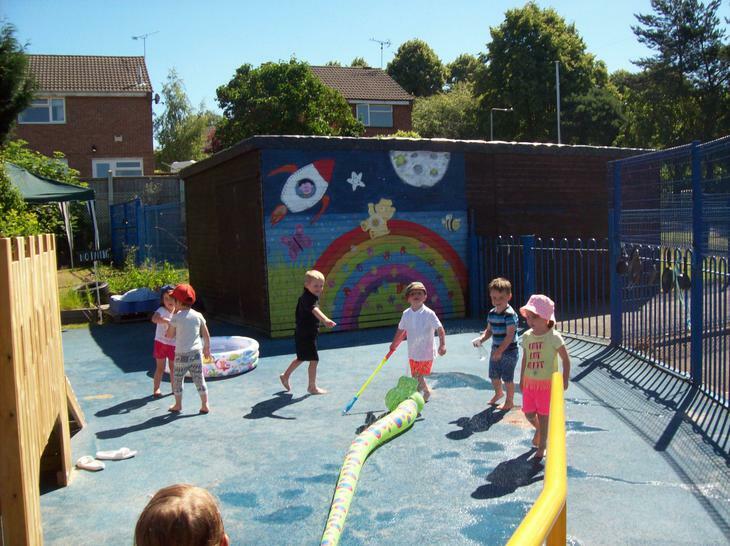 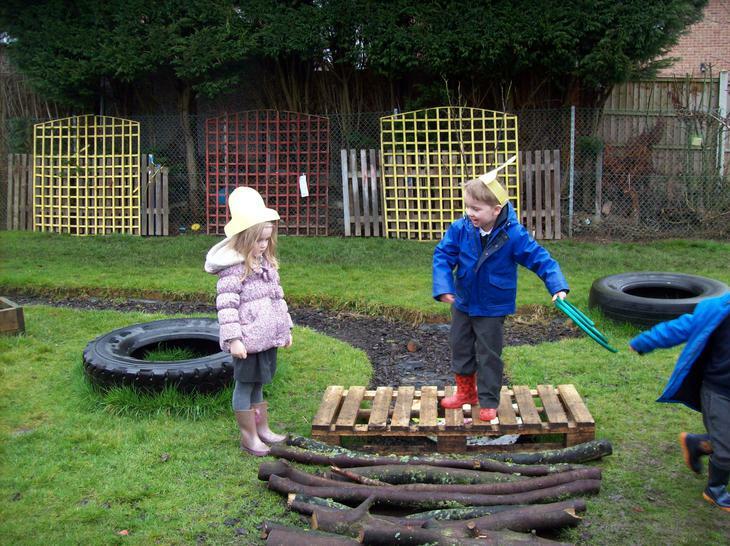 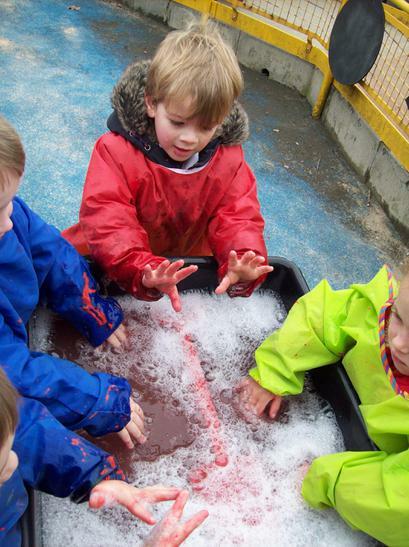 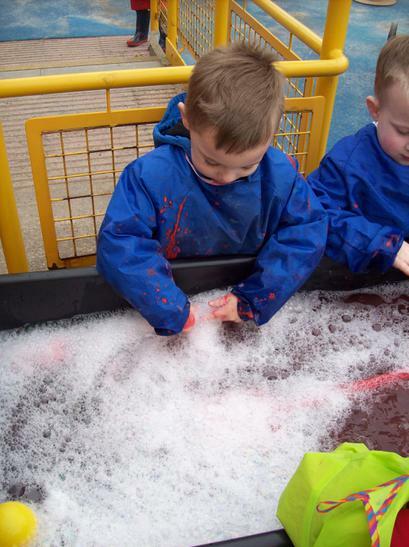 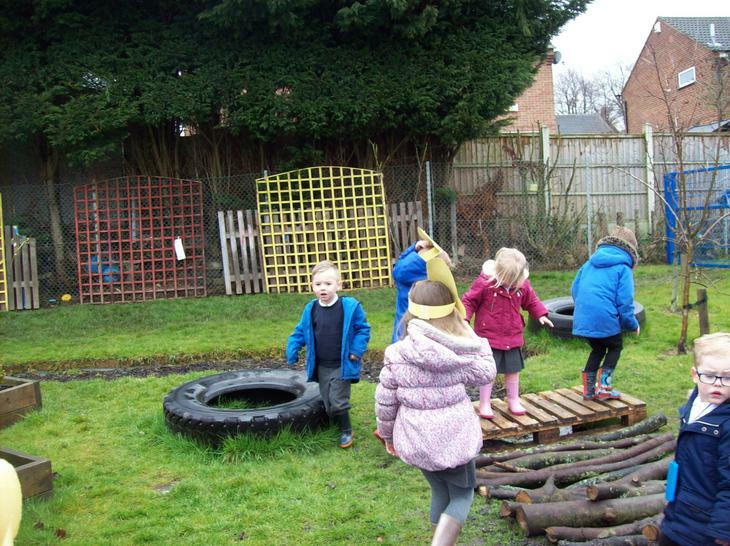 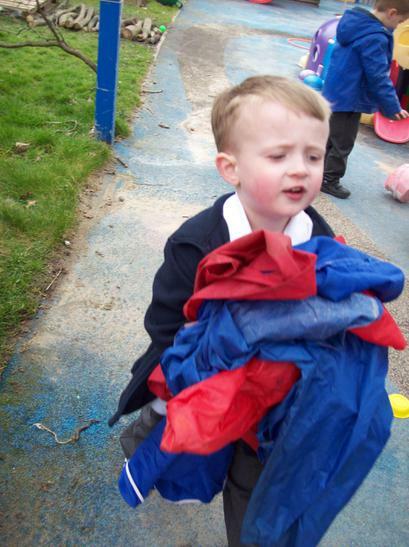 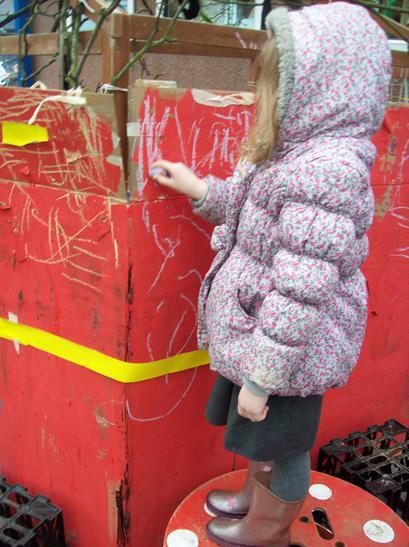 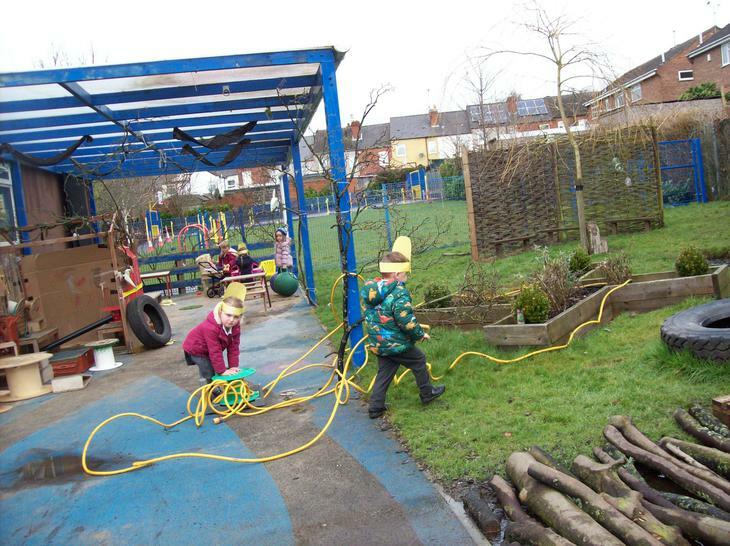 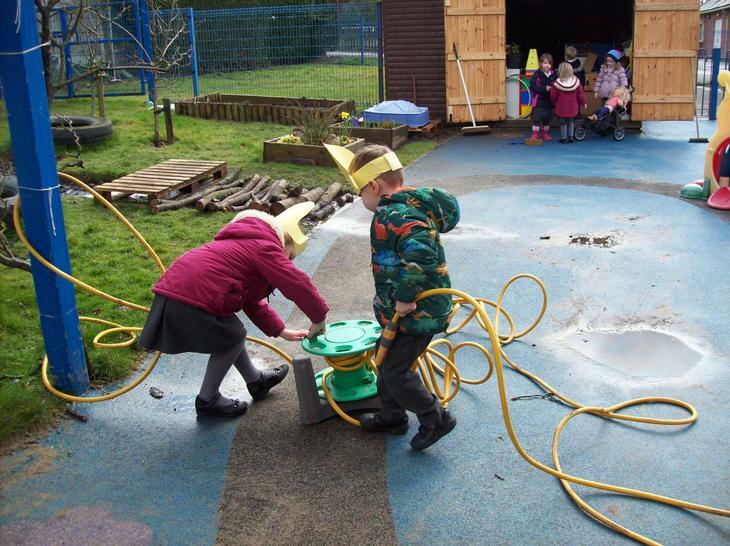 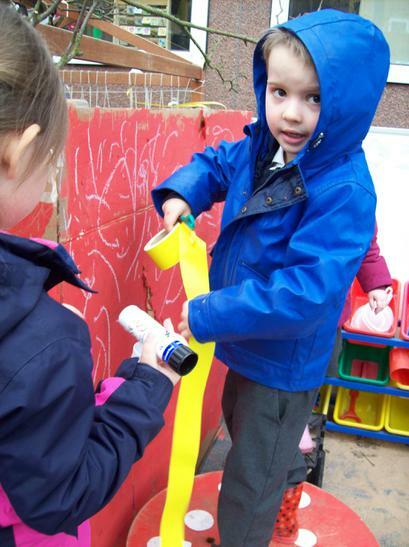 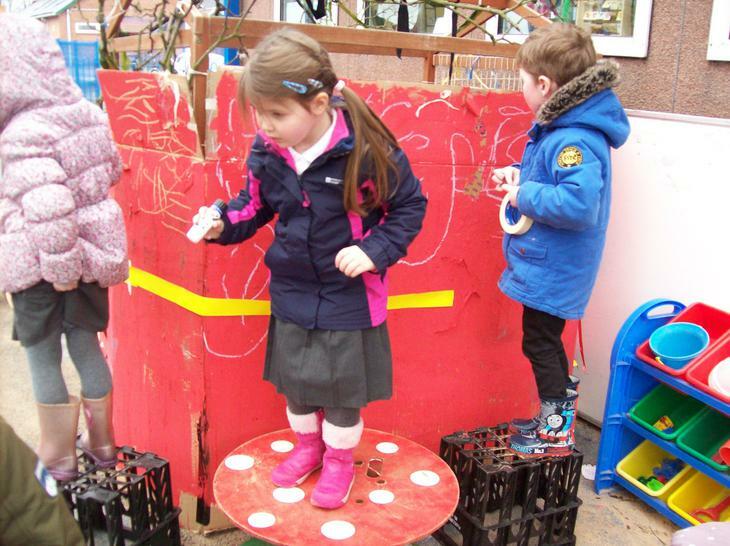 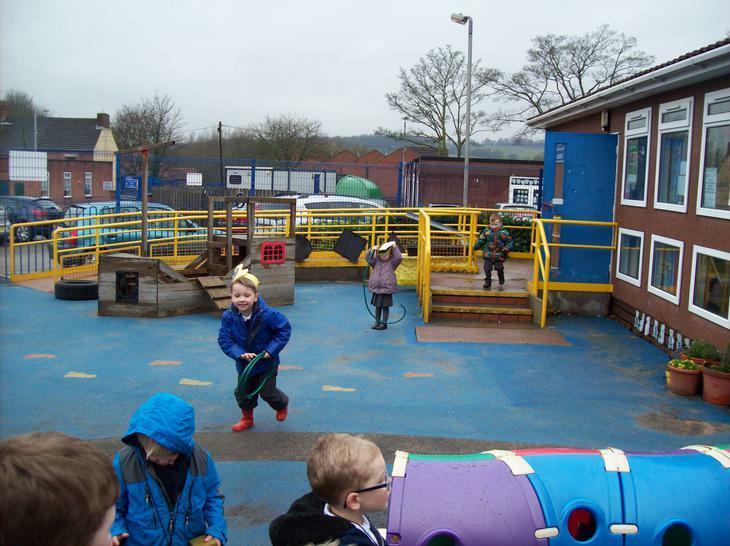 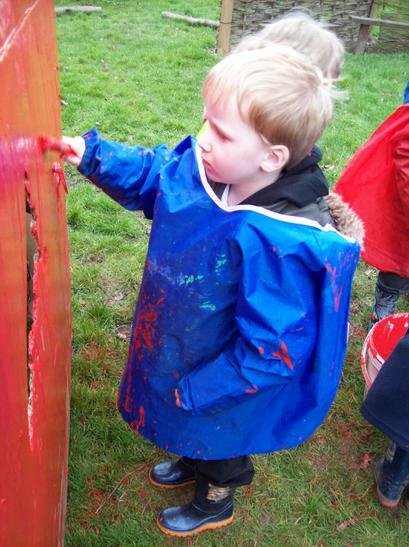 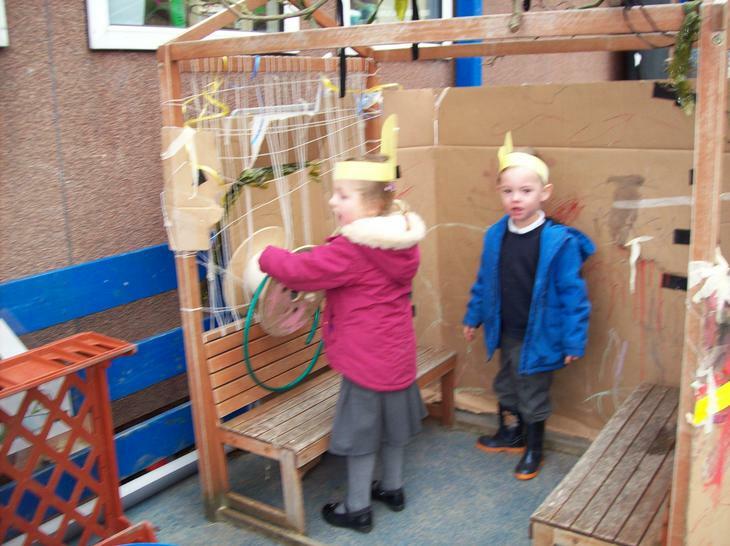 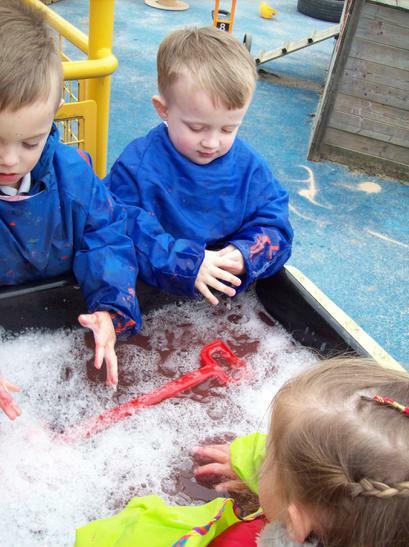 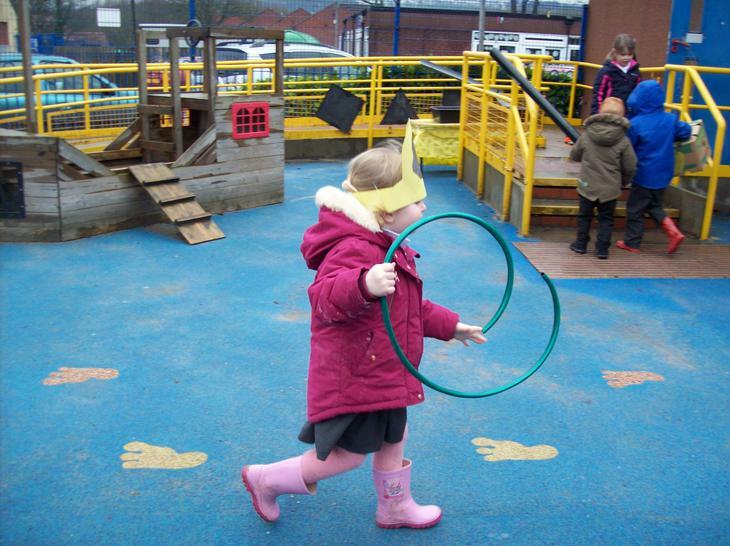 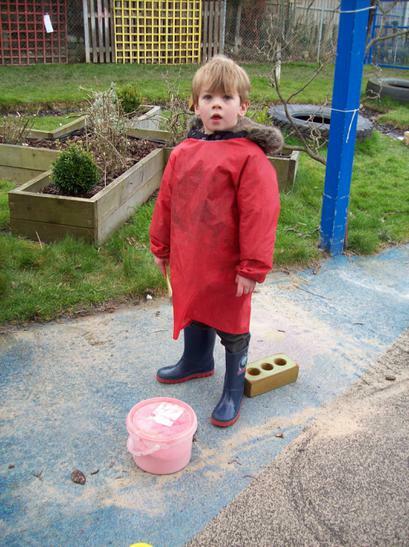 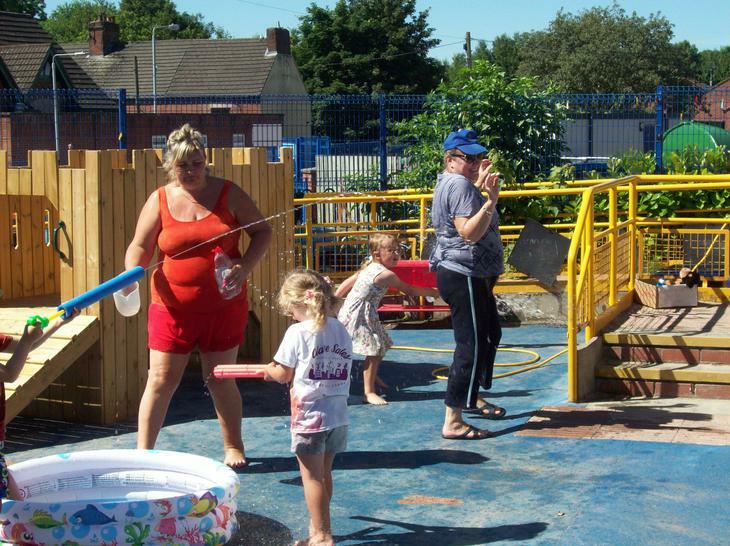 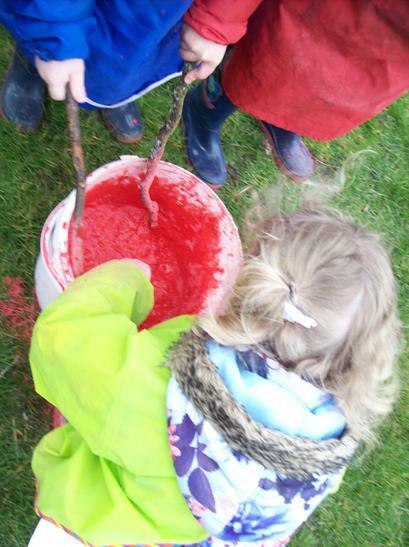 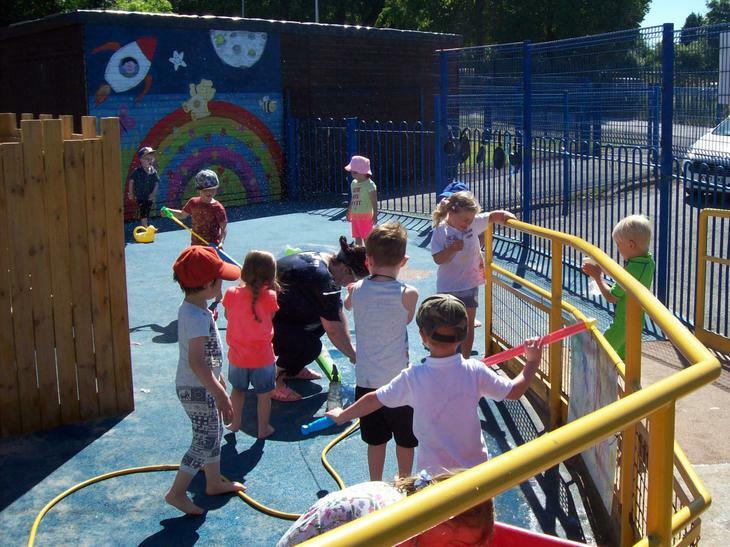 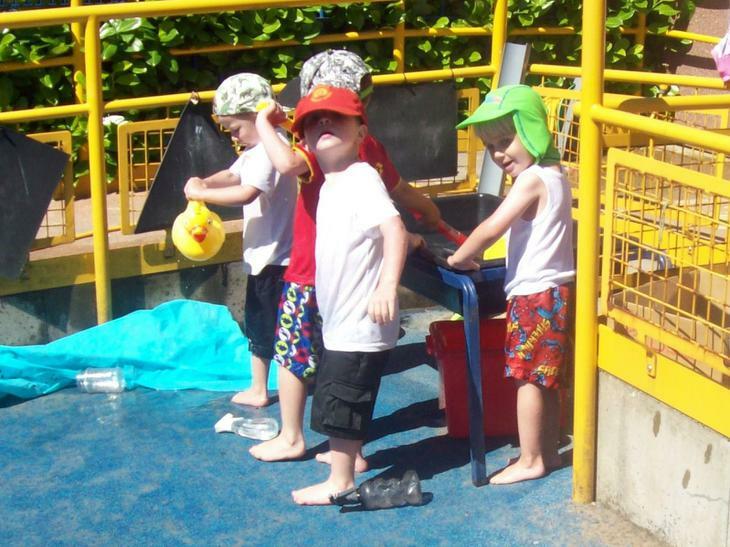 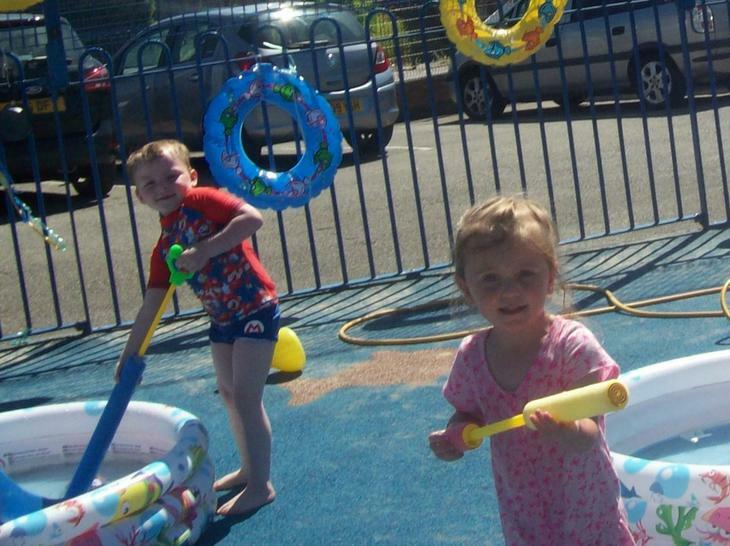 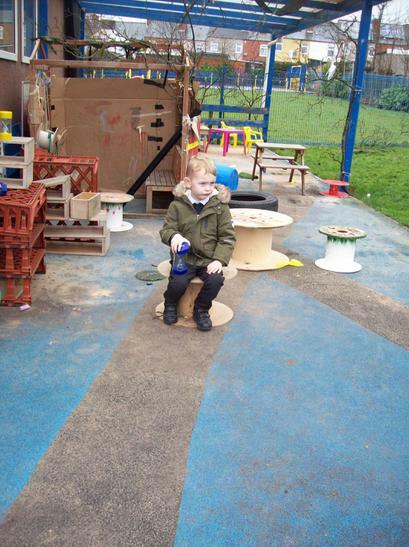 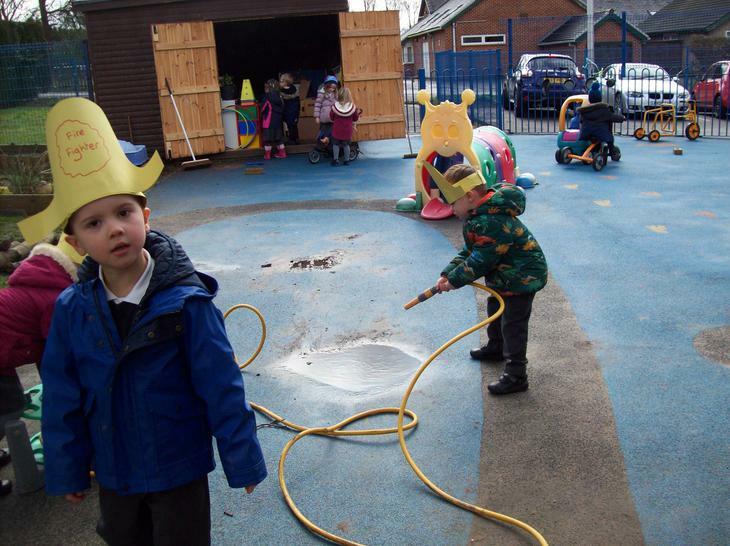 They worked a treat keeping children dry and clean. 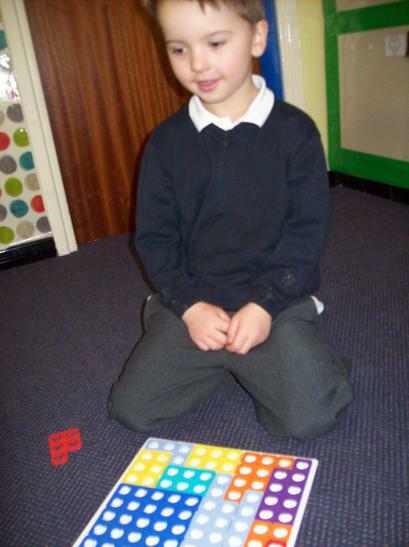 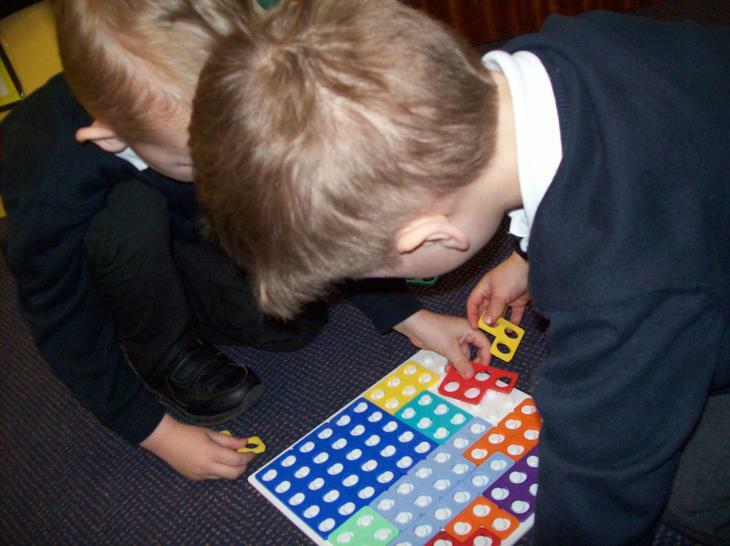 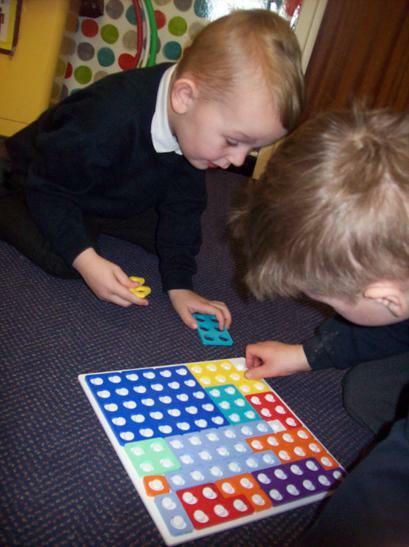 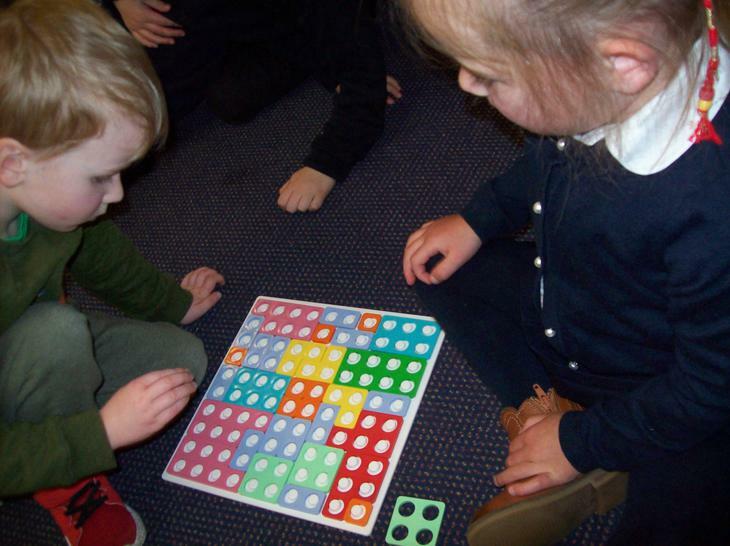 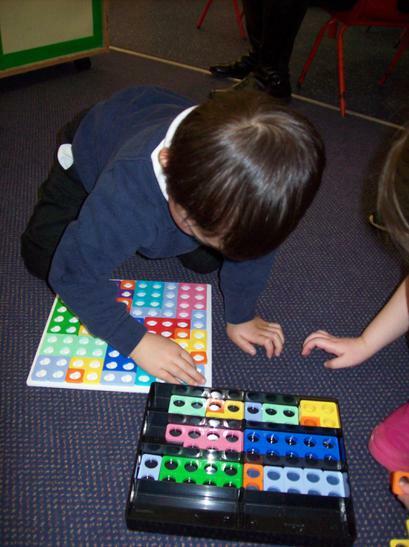 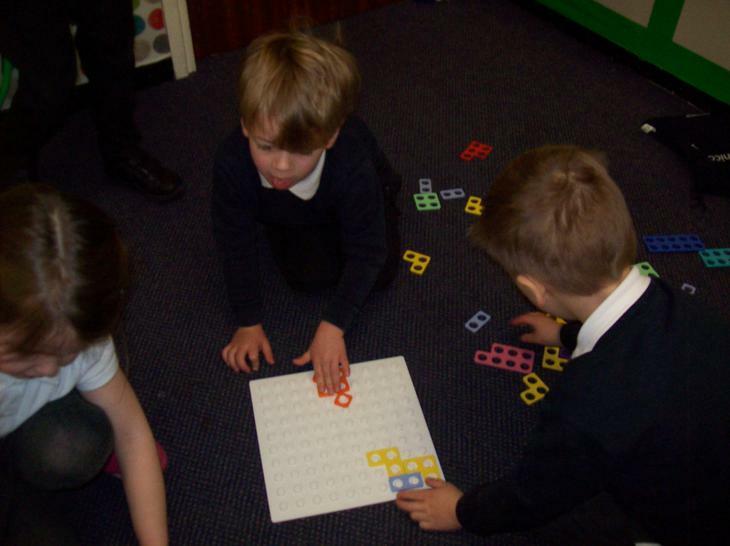 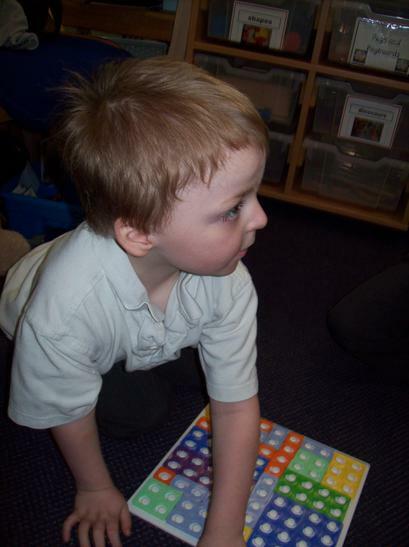 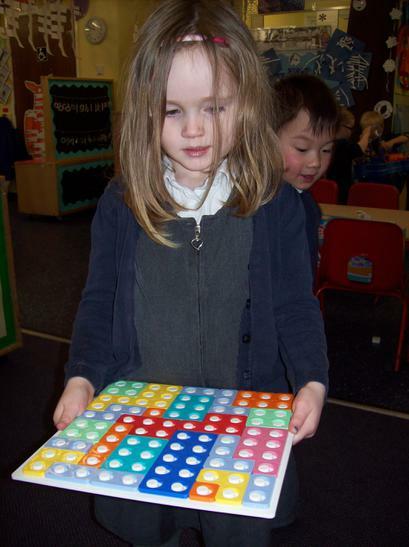 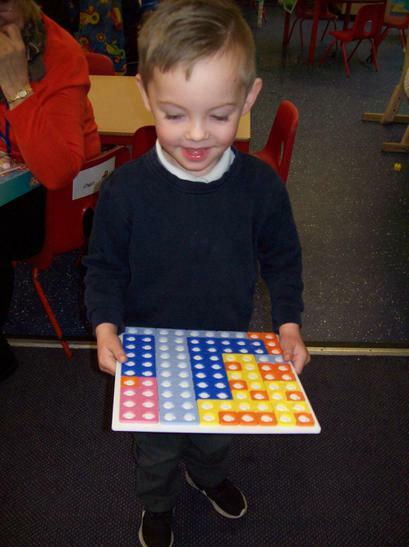 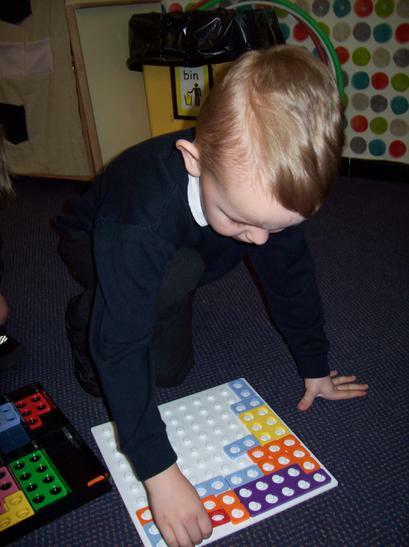 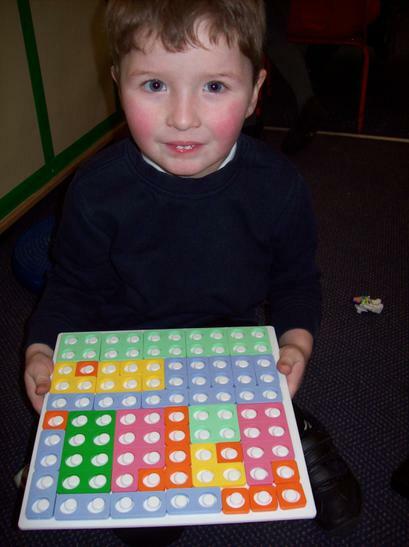 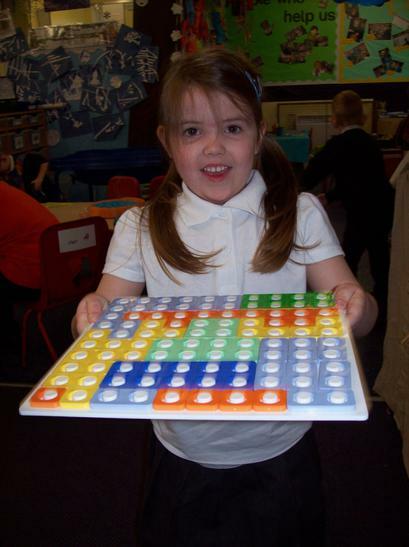 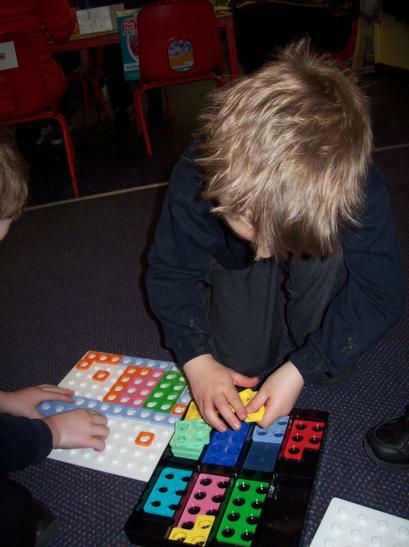 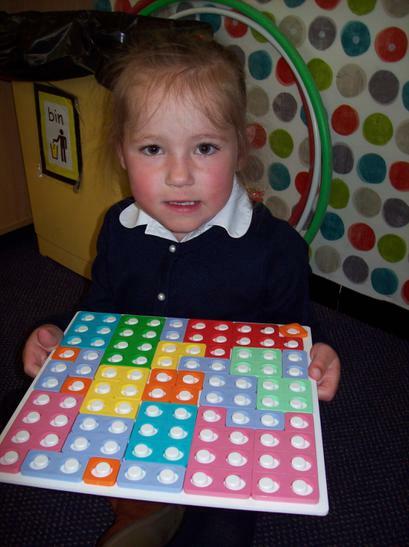 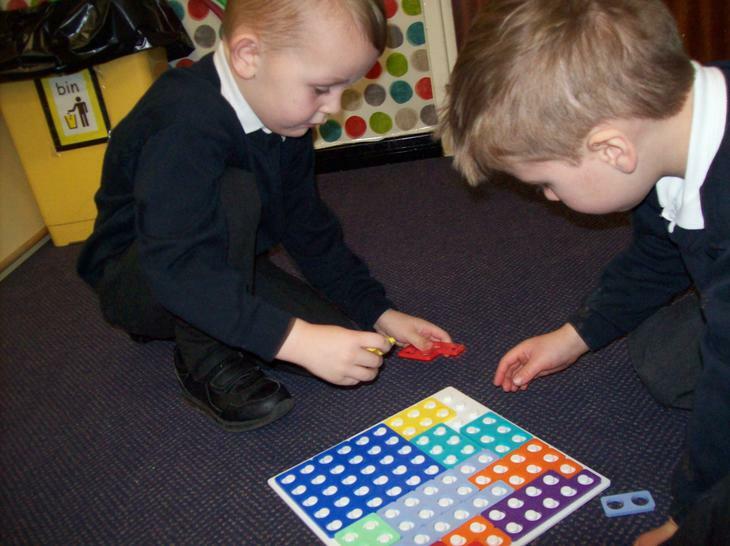 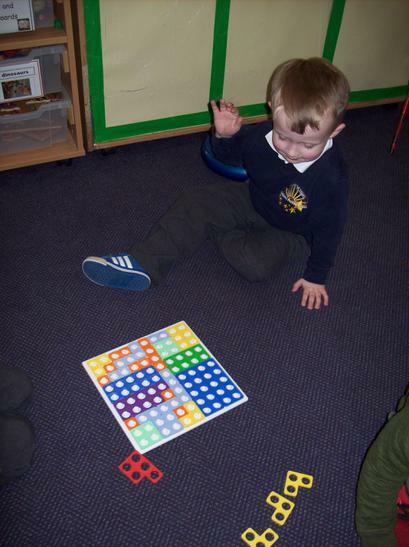 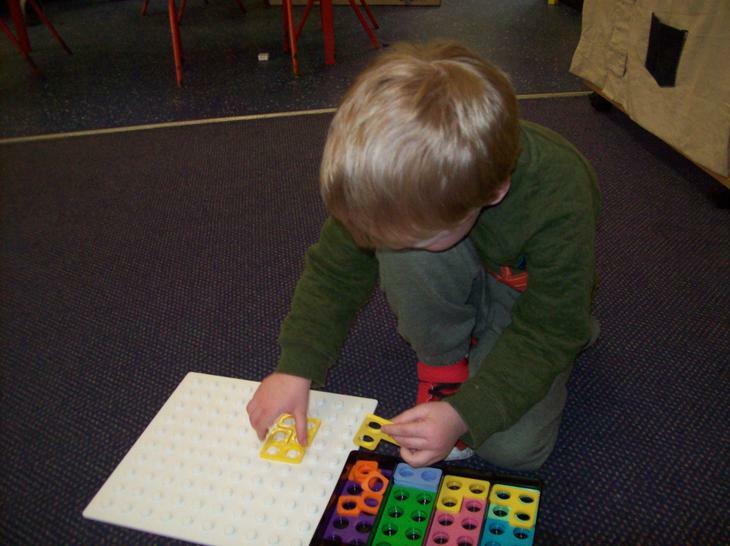 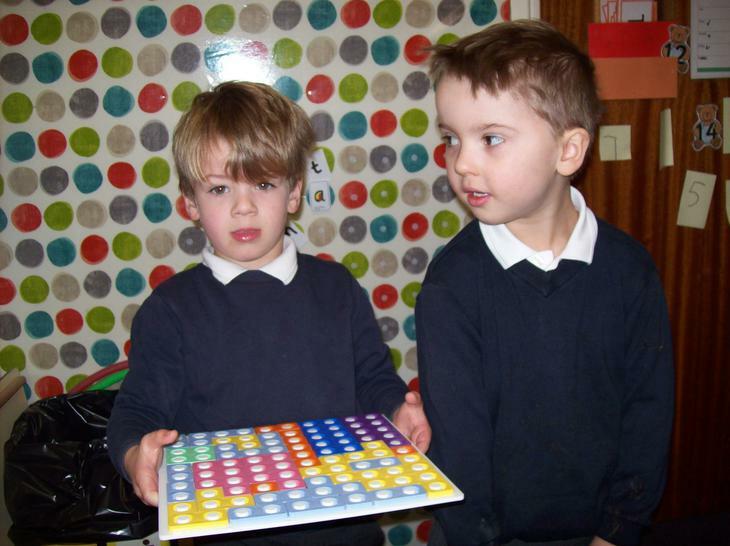 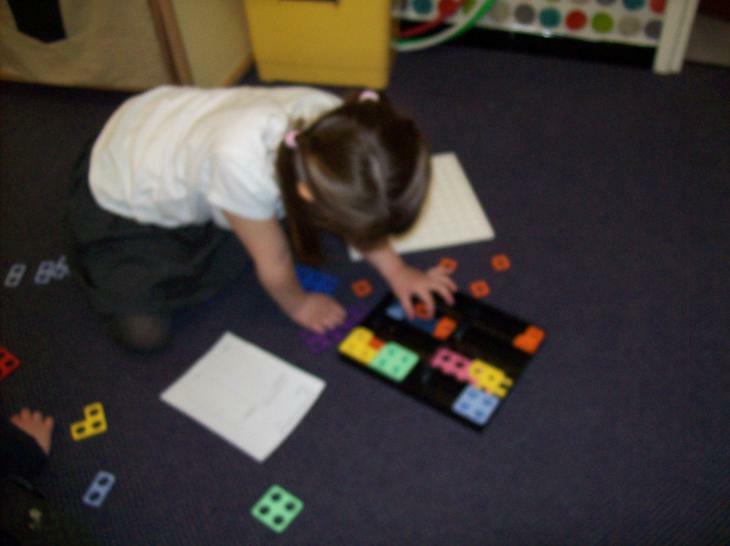 Explorers are exploring Numicon. 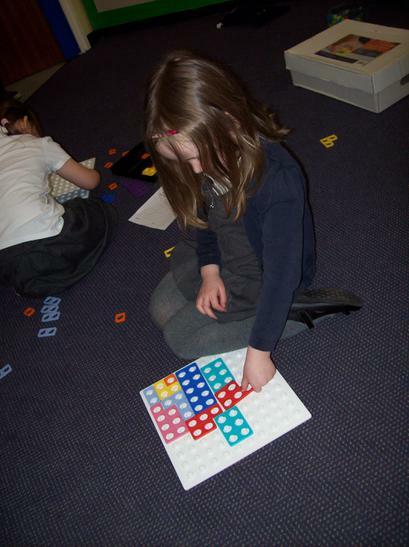 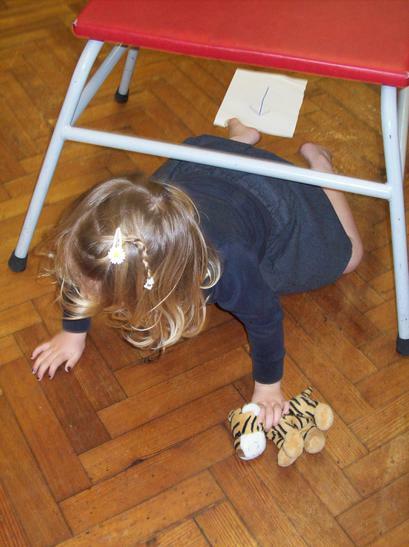 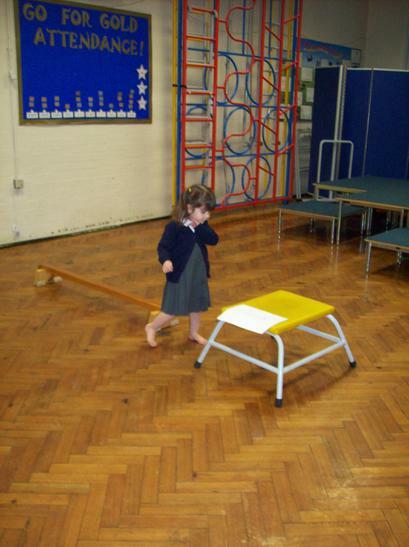 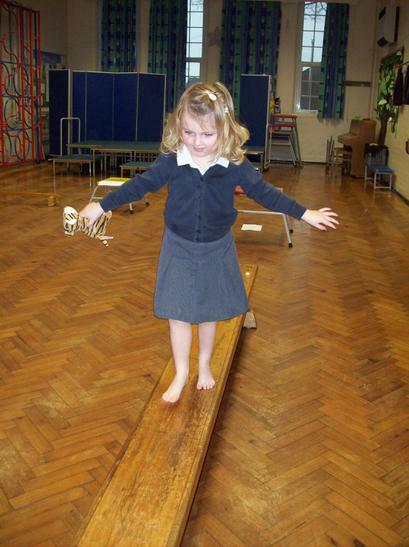 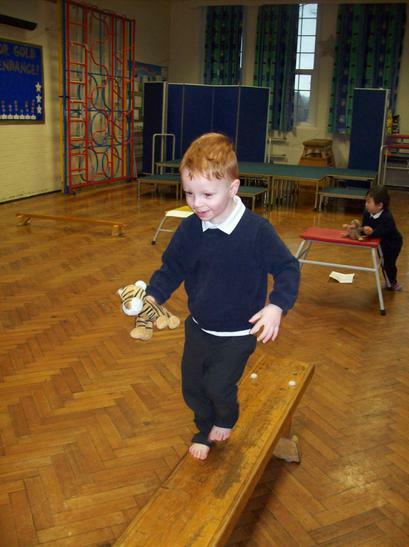 Explorers did lot of good thinking and problem solving when tessellating pieces to fit on the boards. 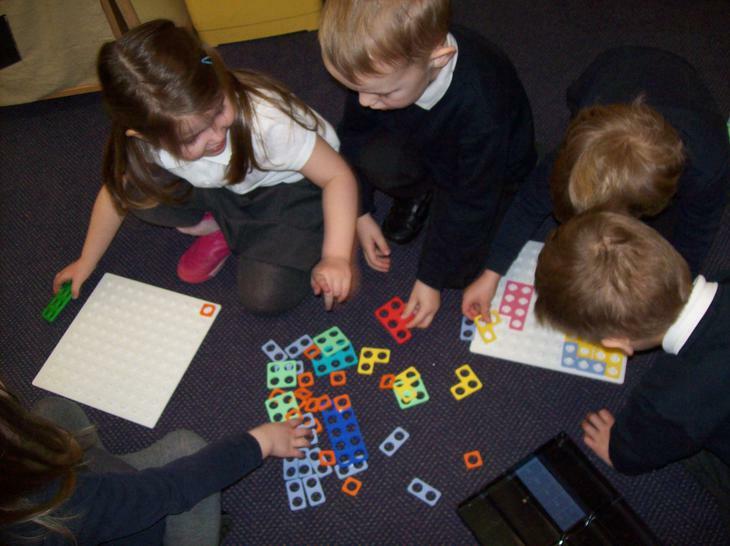 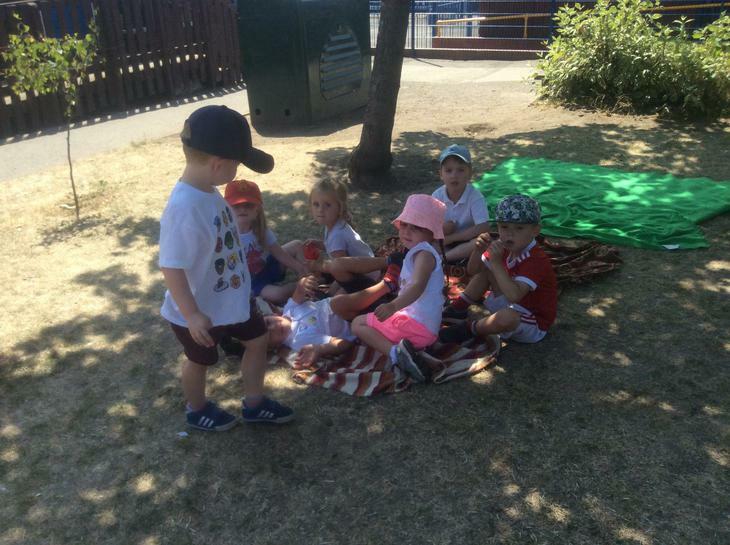 They talked about how many holes, shapes and sizes. 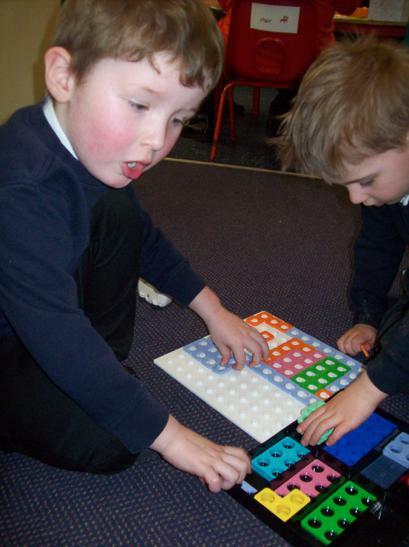 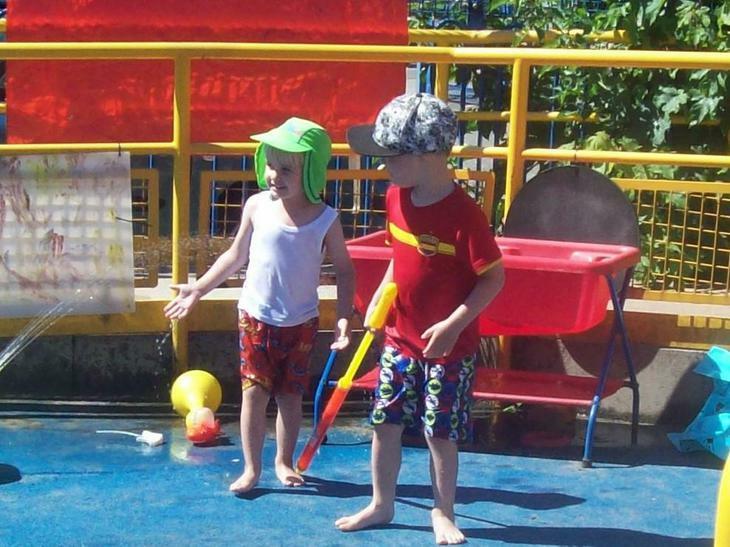 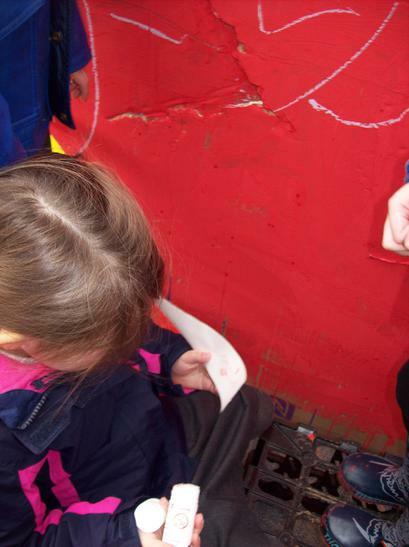 They swapped pieces with friends and helped each other fill their boards. 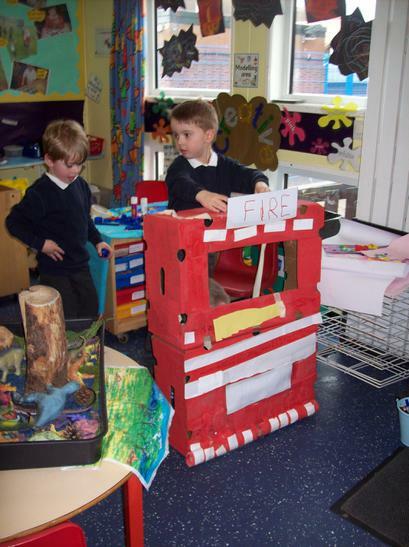 People who help us. 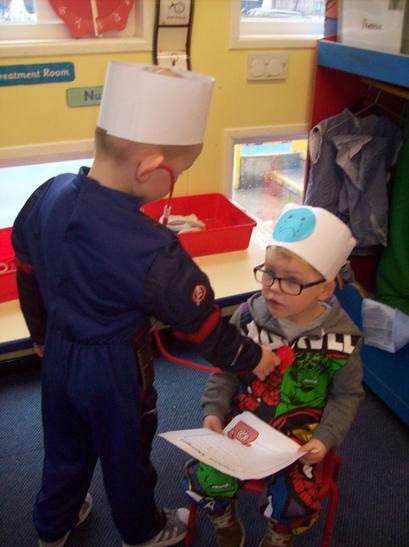 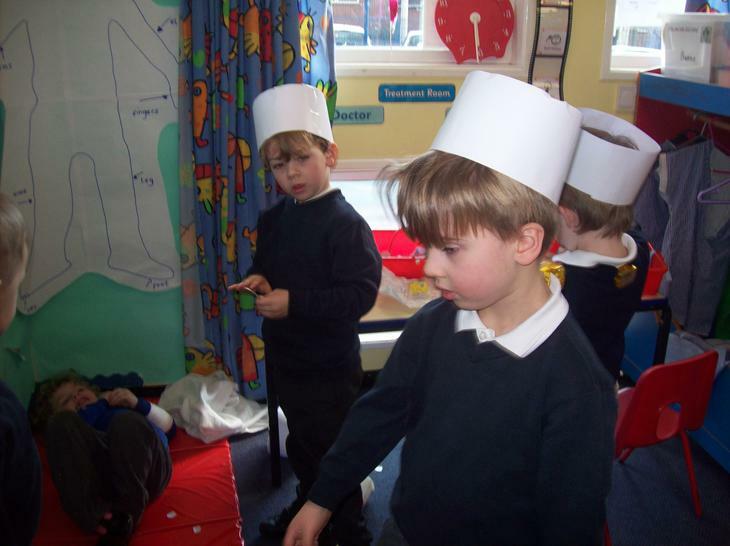 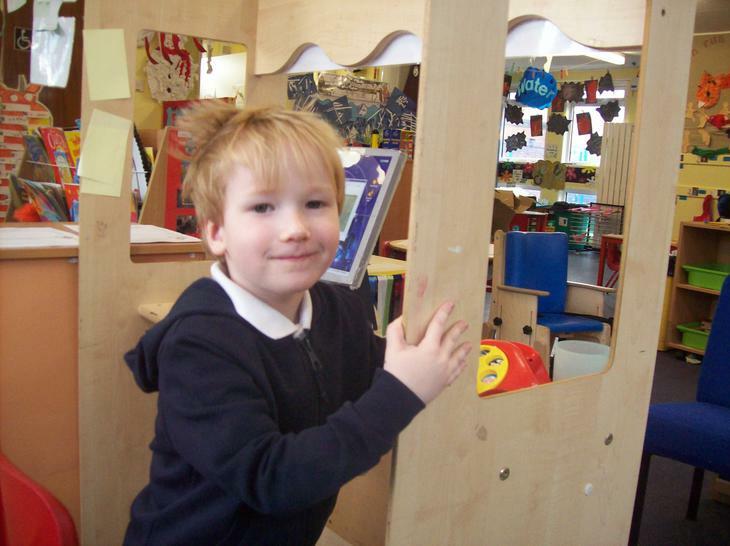 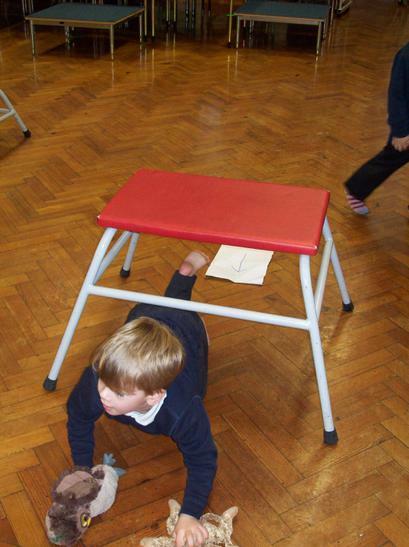 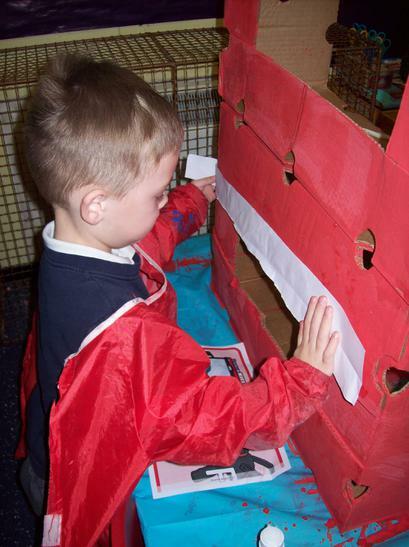 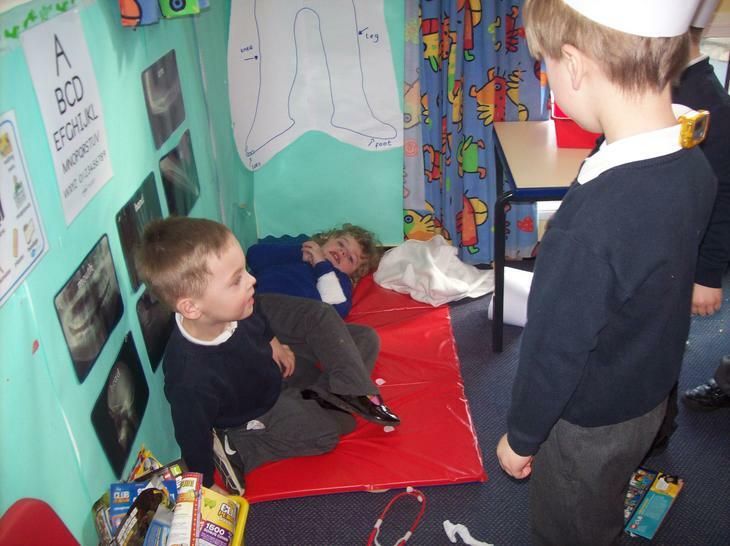 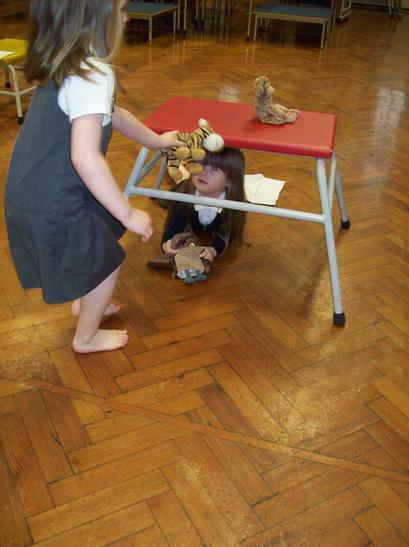 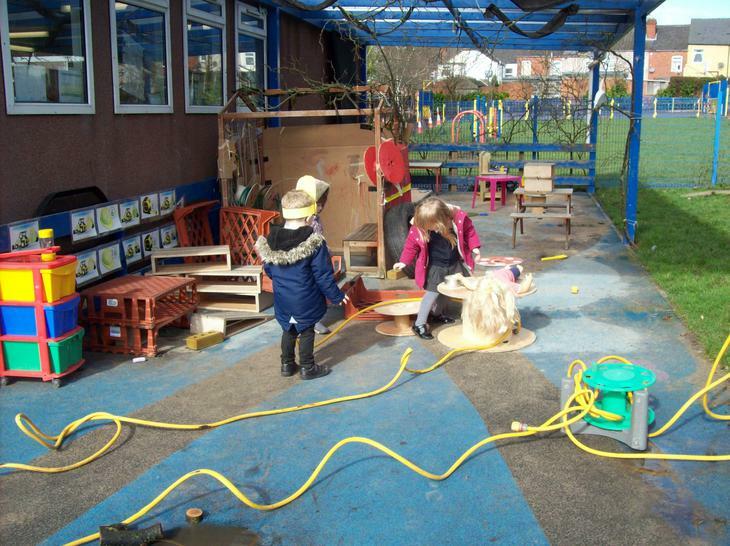 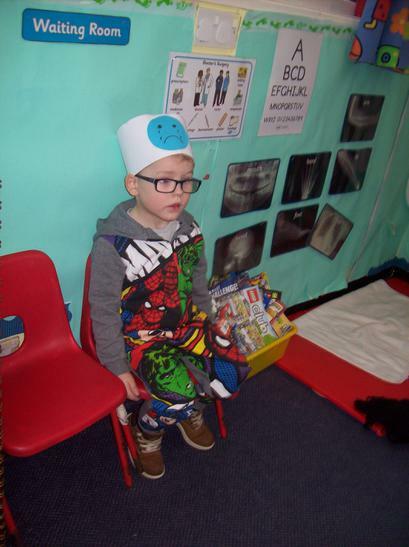 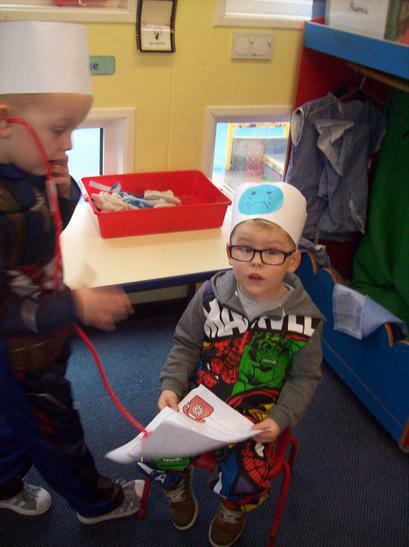 We made a hospital role play area. 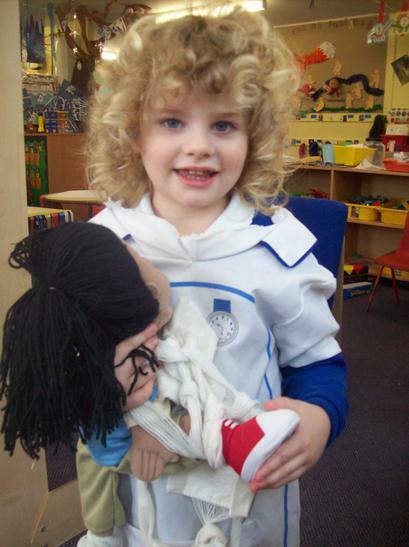 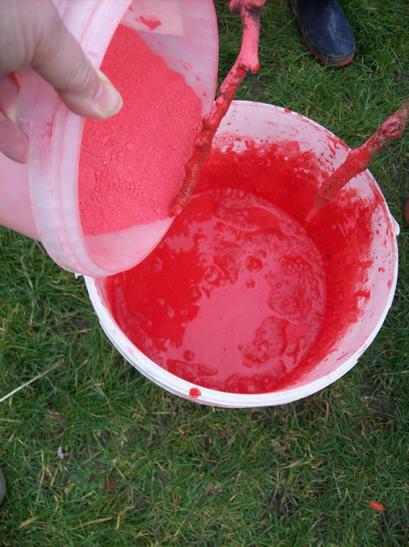 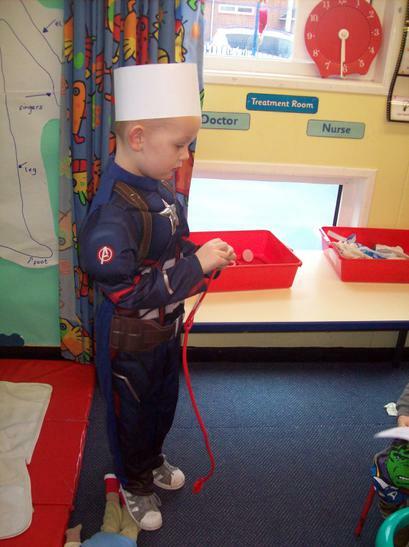 World book day at last.